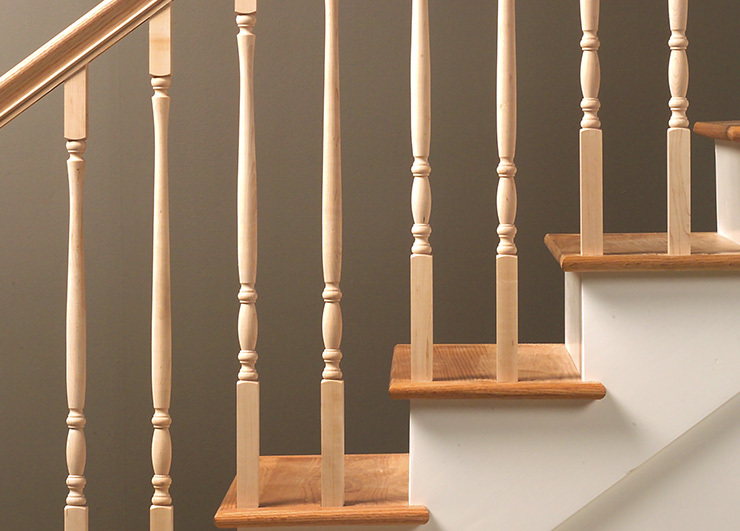 1805 baluster from the 1800s collection. 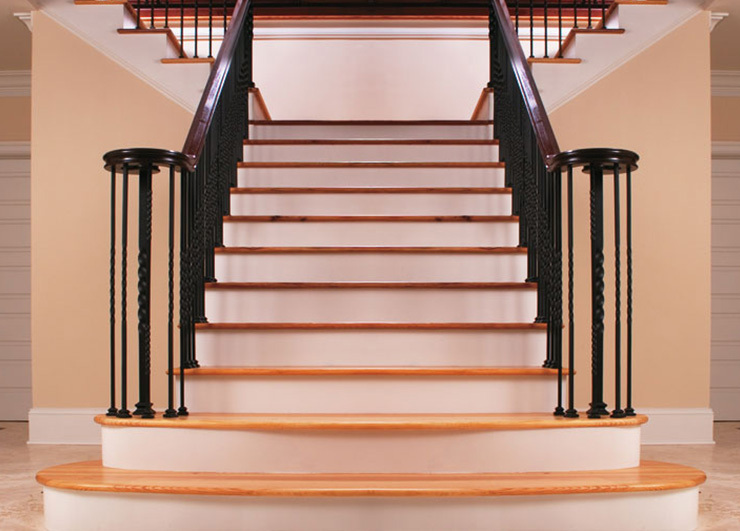 Pictured with 6210 rail. 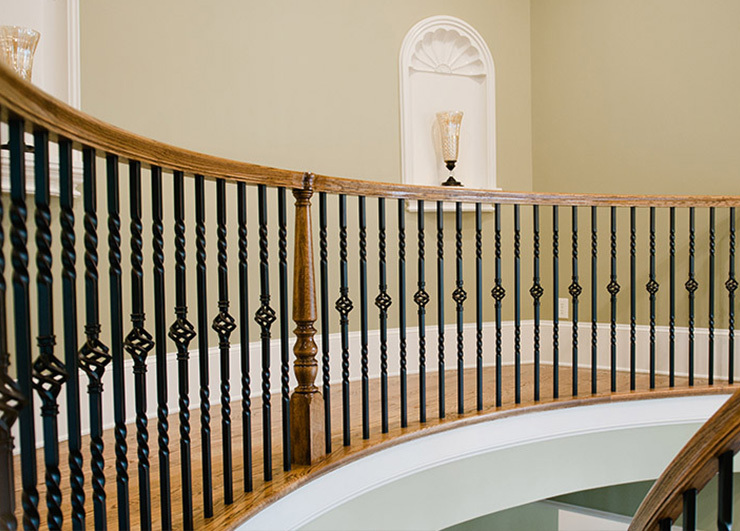 1815 baluster from the 1800s collection. 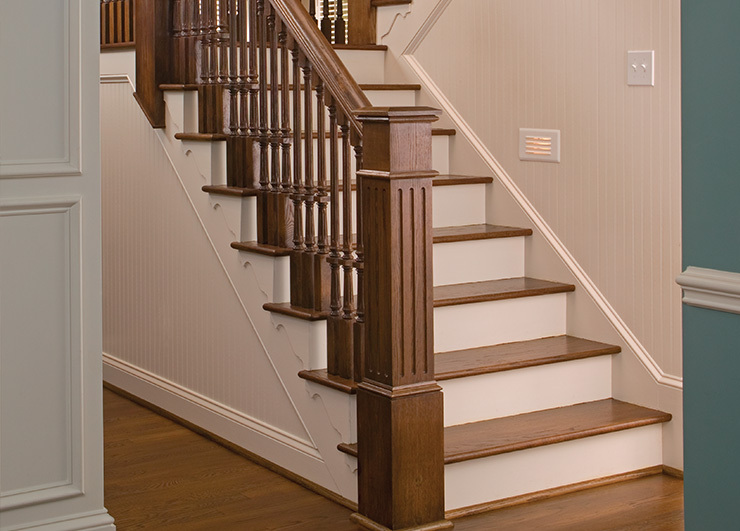 Pictured with 4810 newel. 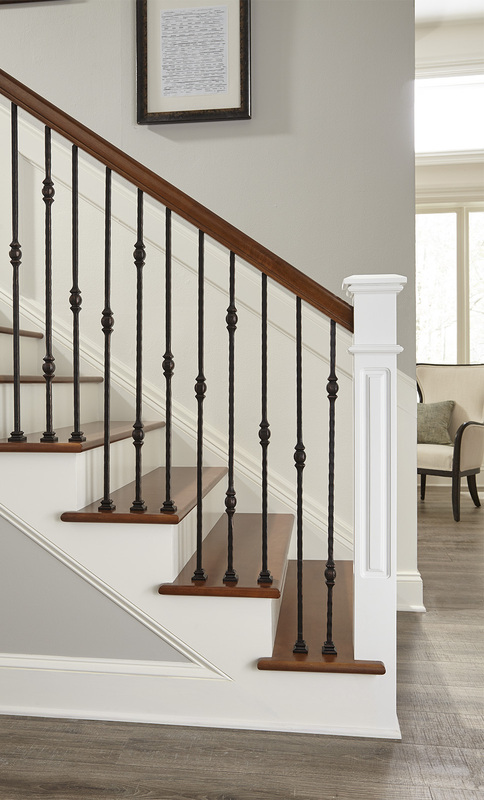 2015 baluster from the Carolina collection. 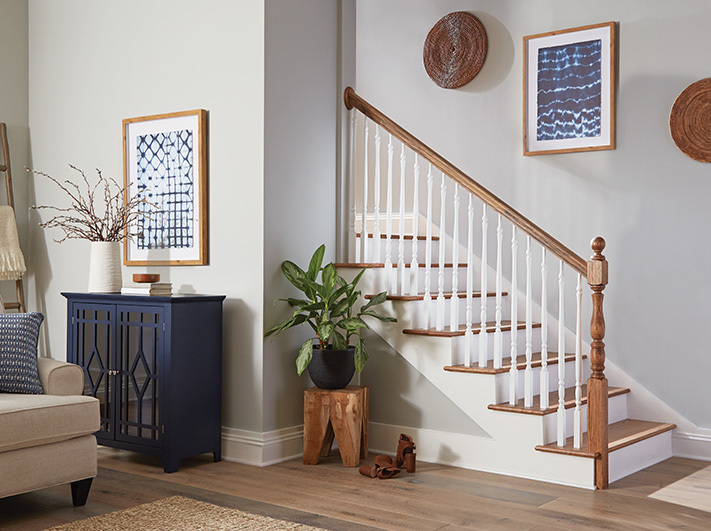 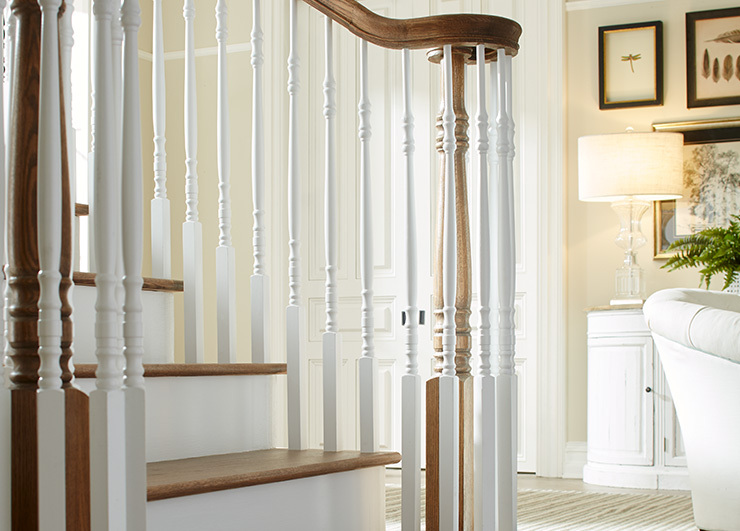 Fluted balusters and newels from the Carolina collection. 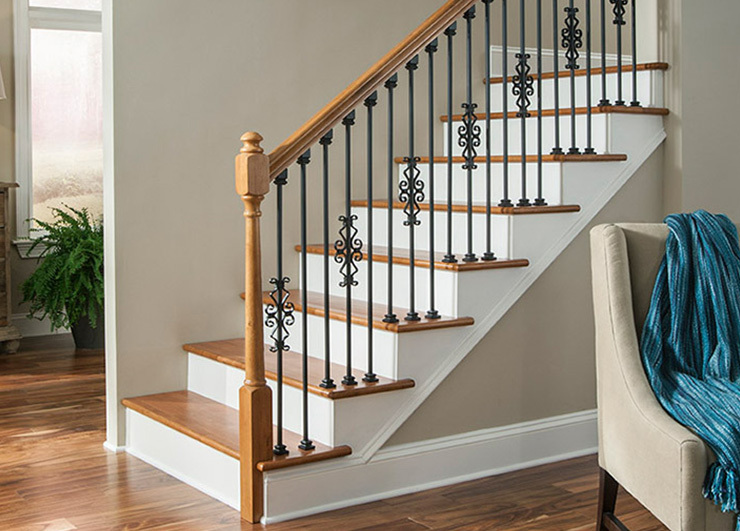 2016F fluted balusters from the Carolina collection paired with 4091 box newel. 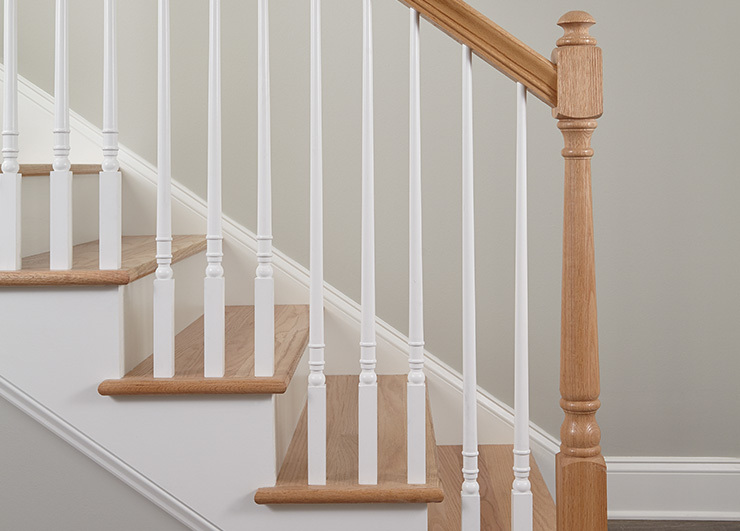 5142 balusters from the Colonial collection paired with 4040 newel. 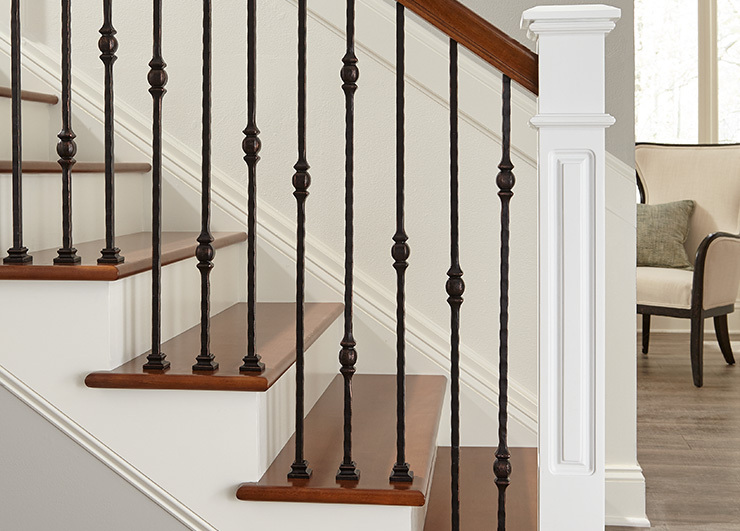 5891 balusters from the Colonial collection paired with 4180 newel. 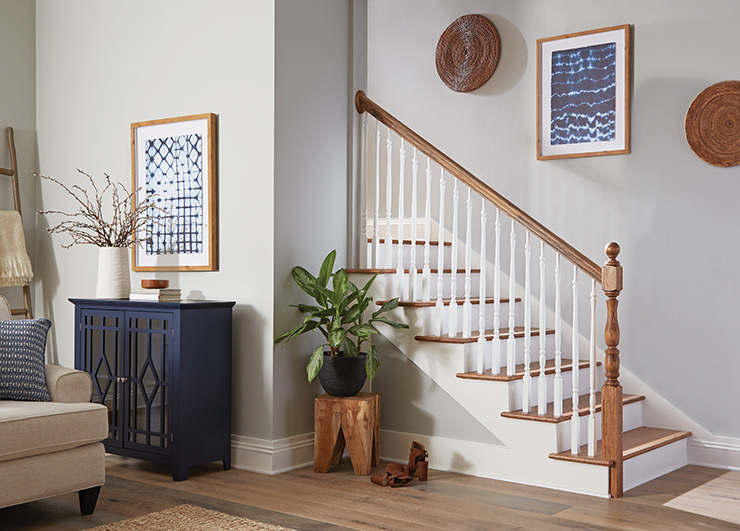 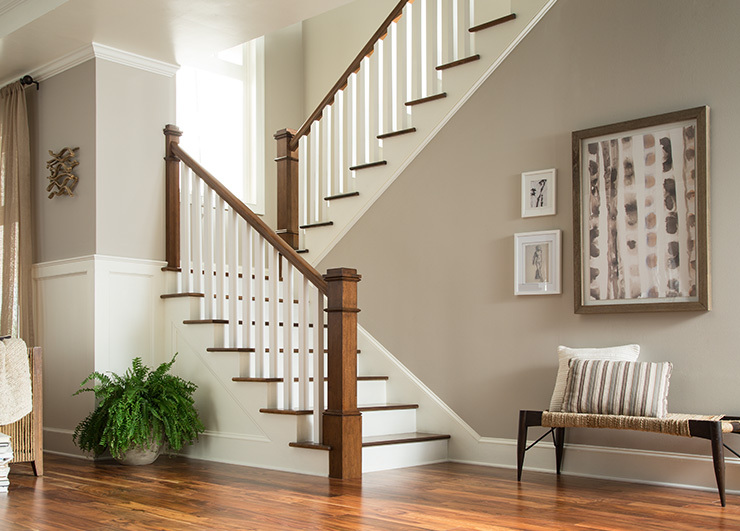 5360 balusters from the Craftsman collection paired with 4094NS box newel. 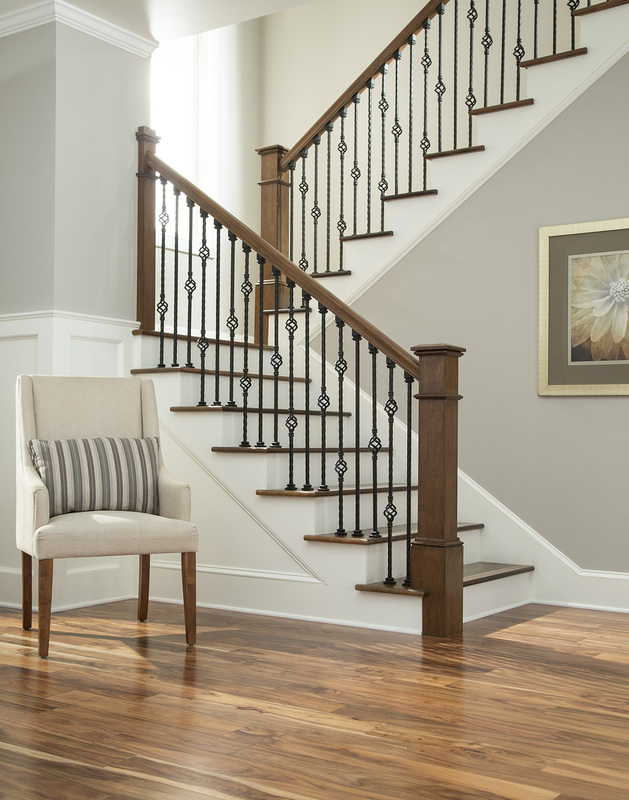 5360 balusters from the Craftsman collection paired with 4091 box newel. 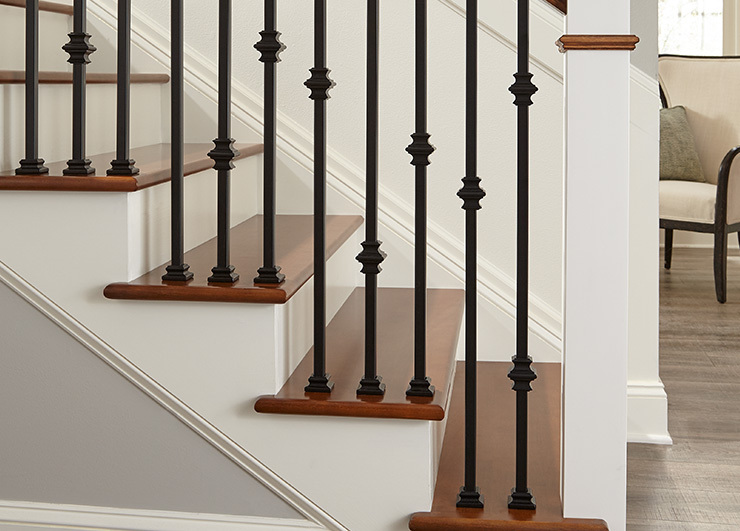 5005 balusters from the Hampton collection paired with 4500 newel. 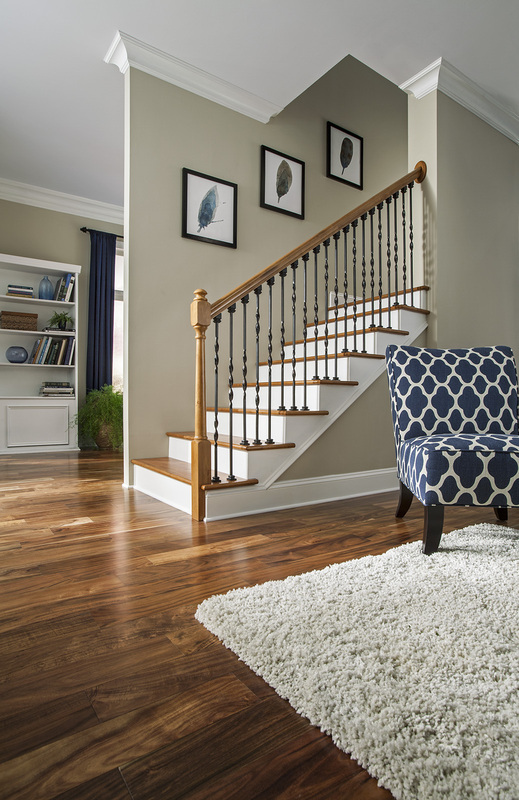 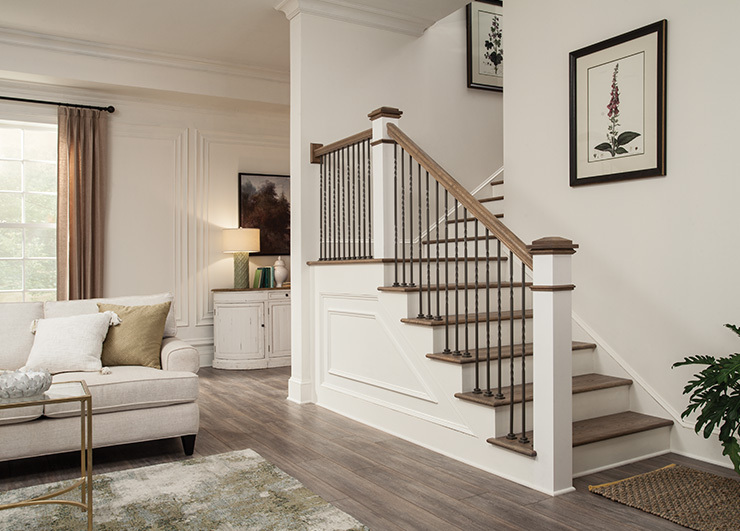 5200 balusters from the Hampton collection paired with 4270 newel. 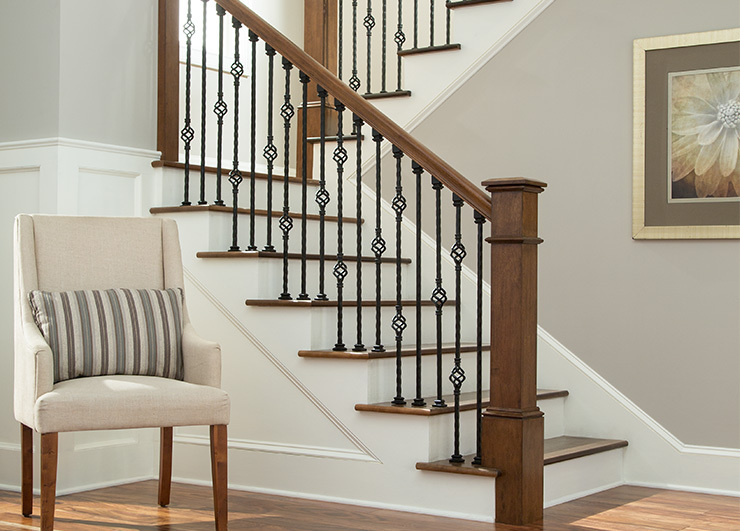 8515 balusters from the Jefferson collection paired with 8542 newel. 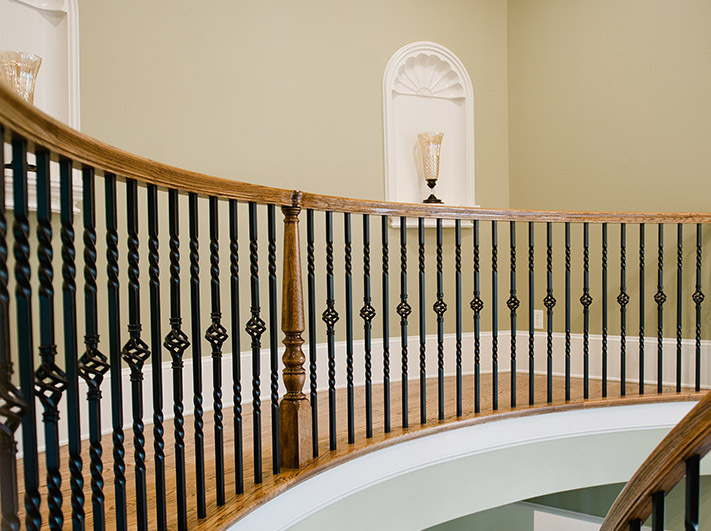 8515F balusters from the Jefferson collection with custom handrail. 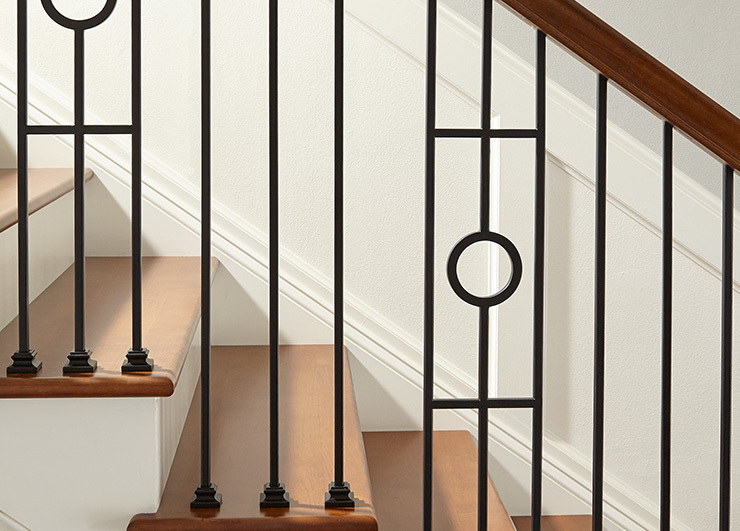 2025 balusters from the Sierra collection. 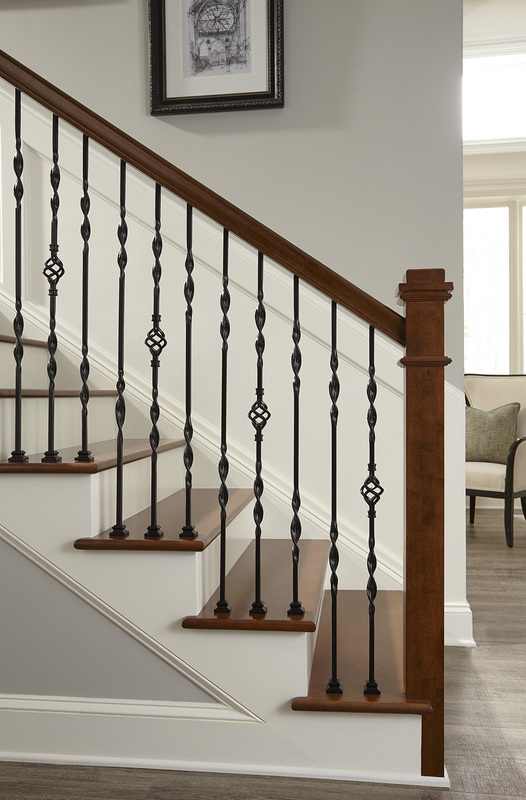 2105 balusters from the Sierra collection. 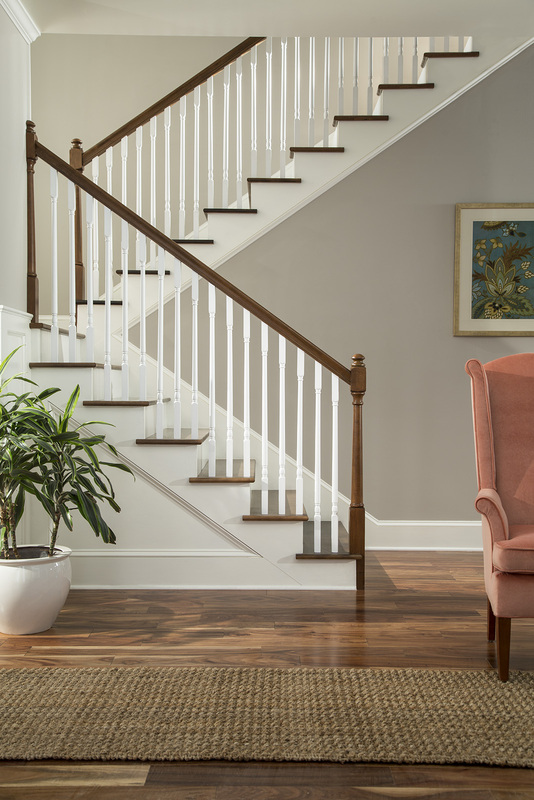 9005F fluted balusters from the Williamsburg collection. 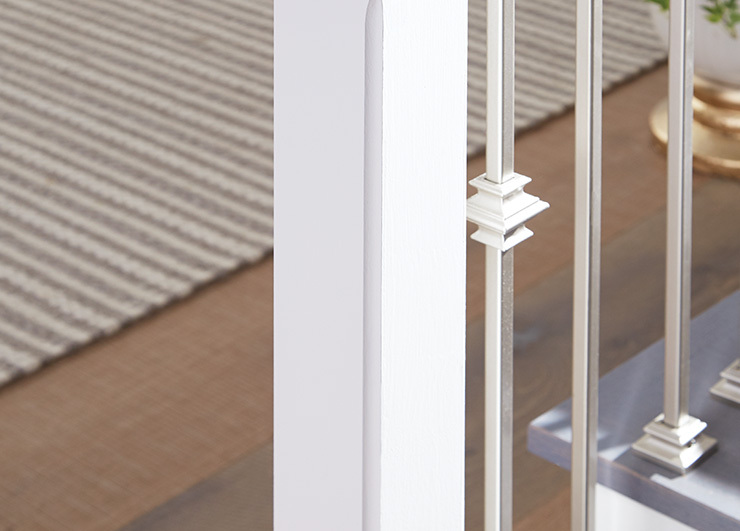 Pictured with 6519 rail. 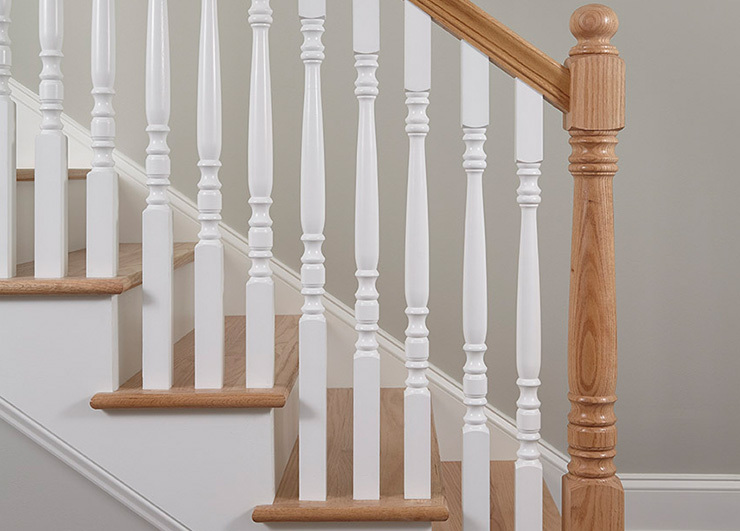 9005F fluted balusters from the Williamsburg collection. 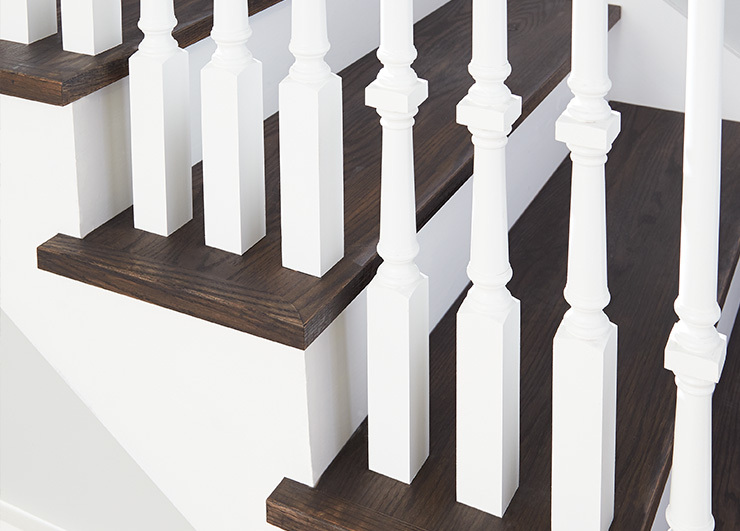 9005F fluted balusters from the Williamsburg collection. 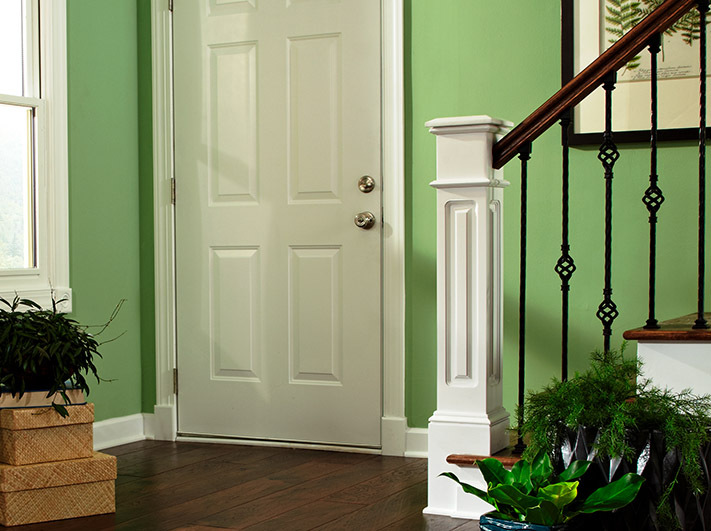 Pictured with 6519 rail 4093 box newel. 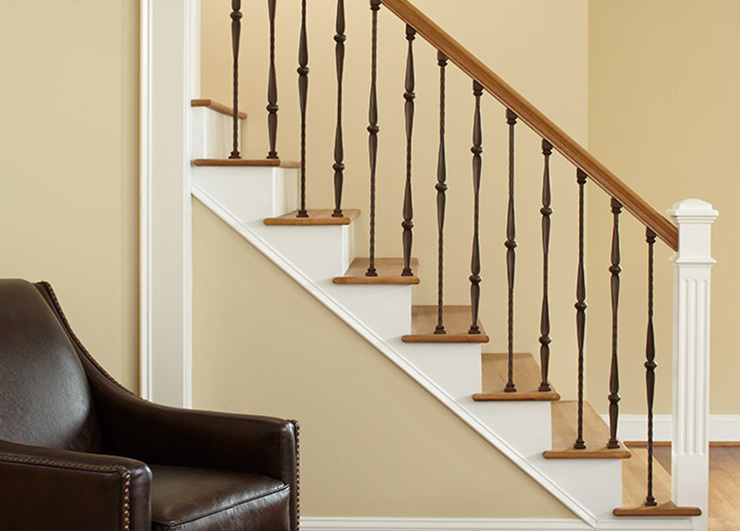 Sierra Collection - 2013 balusters with 3242 newel. 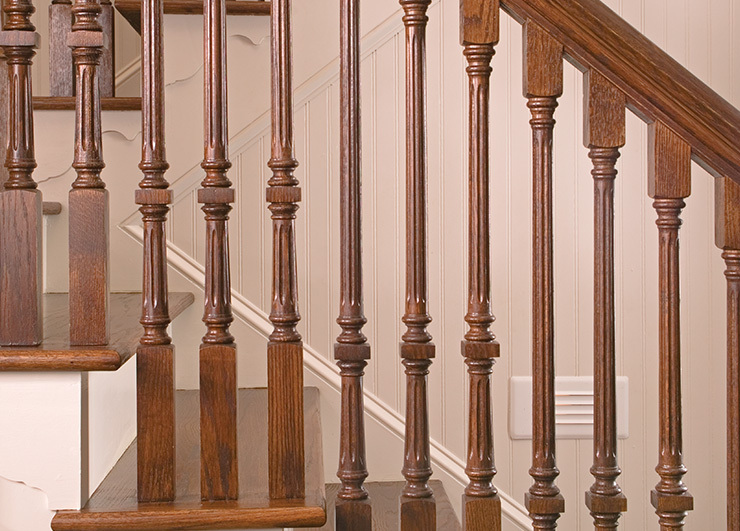 Williamsburg- 9005 balusters with 4102 newel. 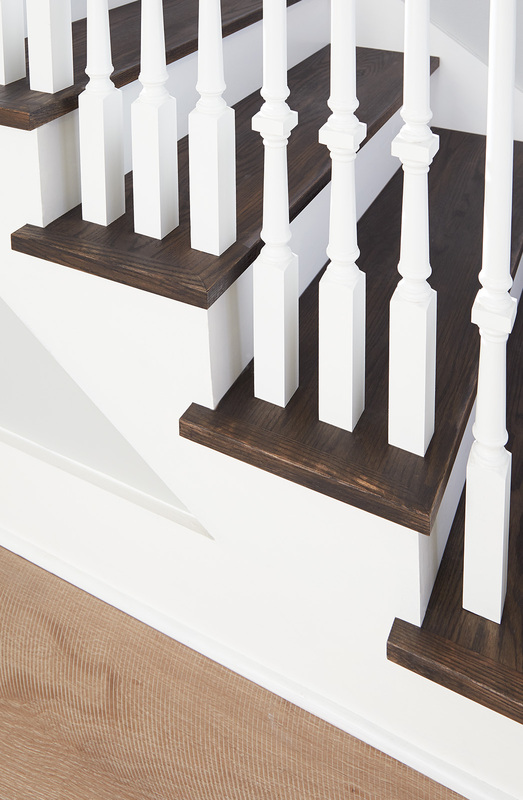 Closeup of square edge treads with 9005 balusters. 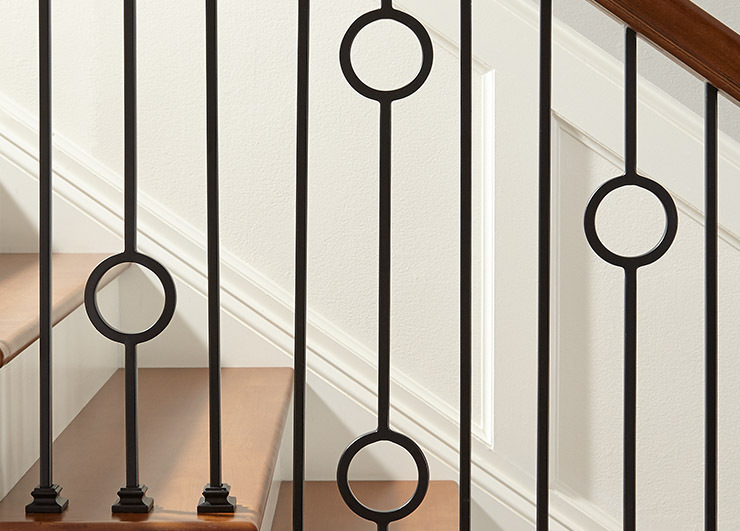 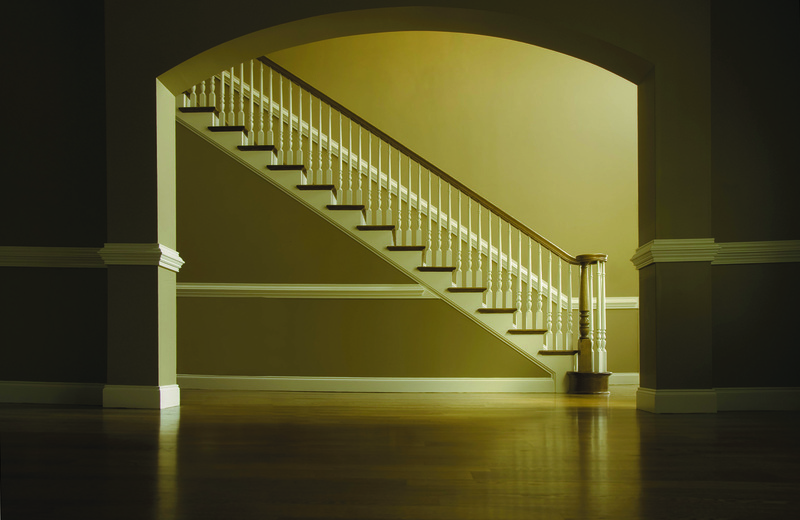 Florence balusters feature spheres and round knuckles. 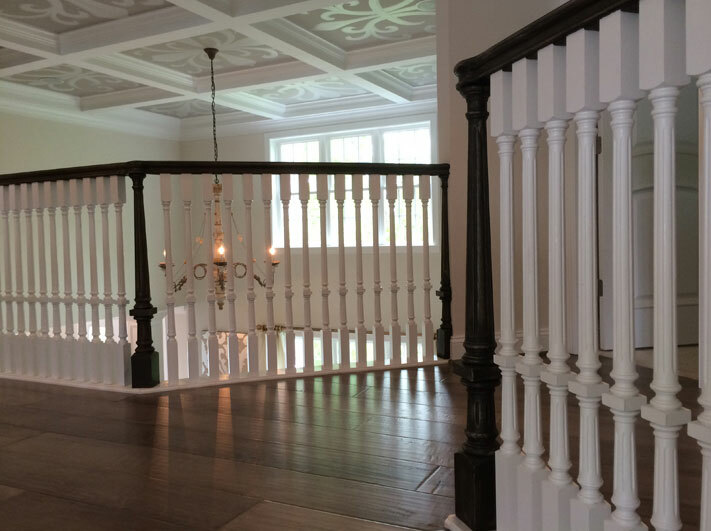 Pictured here with 1061 and 1062 balusters with a 4083 box newel. 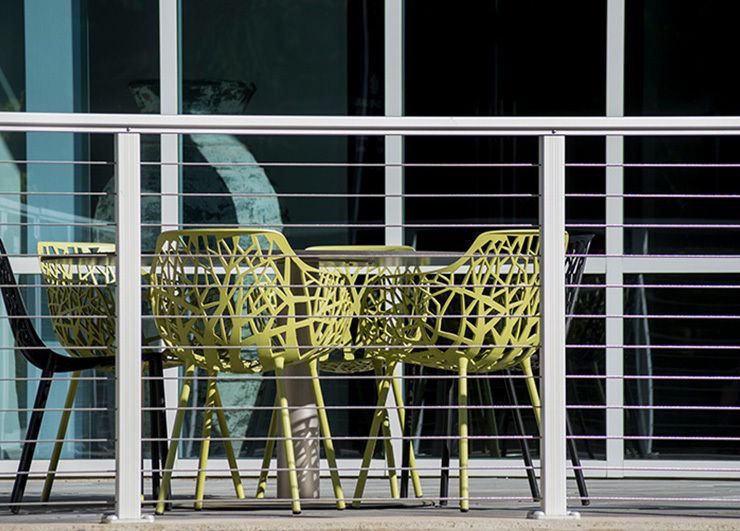 Forma Collection features contemporary designs. 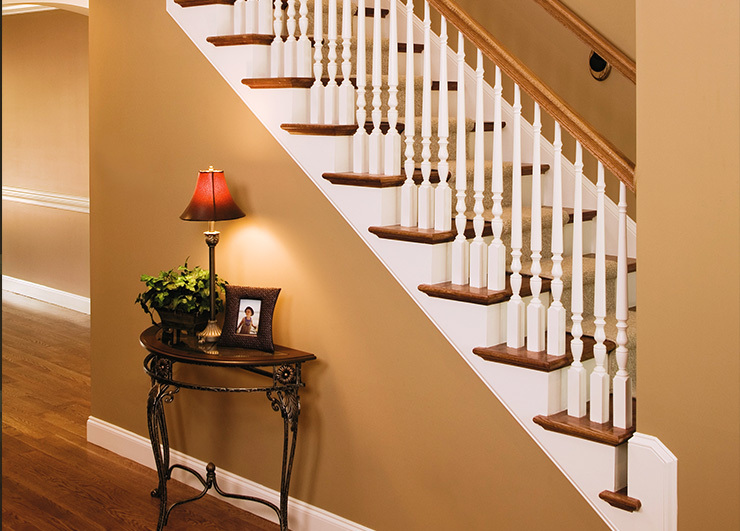 Pictured here with 3402 and 3700 plain bar. 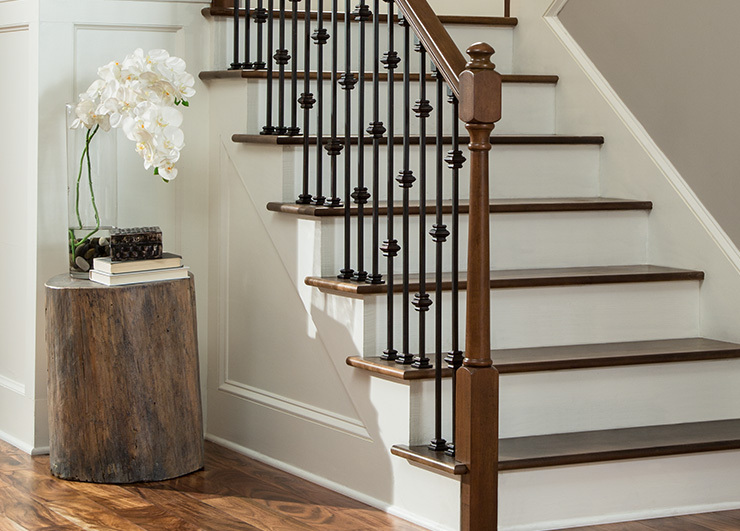 Milan balusters are hammered for a rustic appearance. 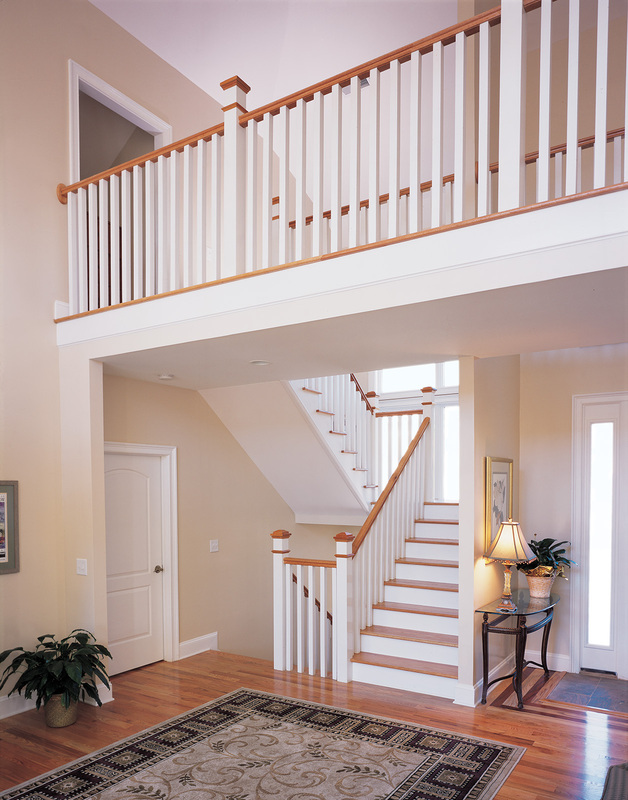 Pictured here with 1000, 1001, and 1002 balusters with a 4093 box newel. 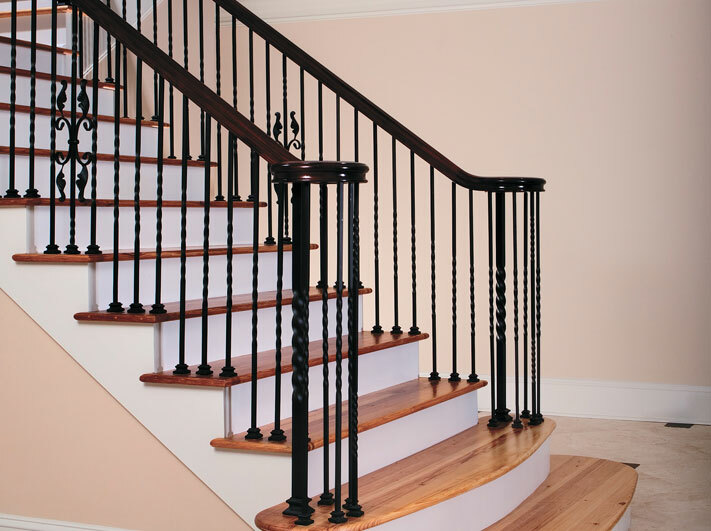 Palermo features traditional twist and basket balusters. 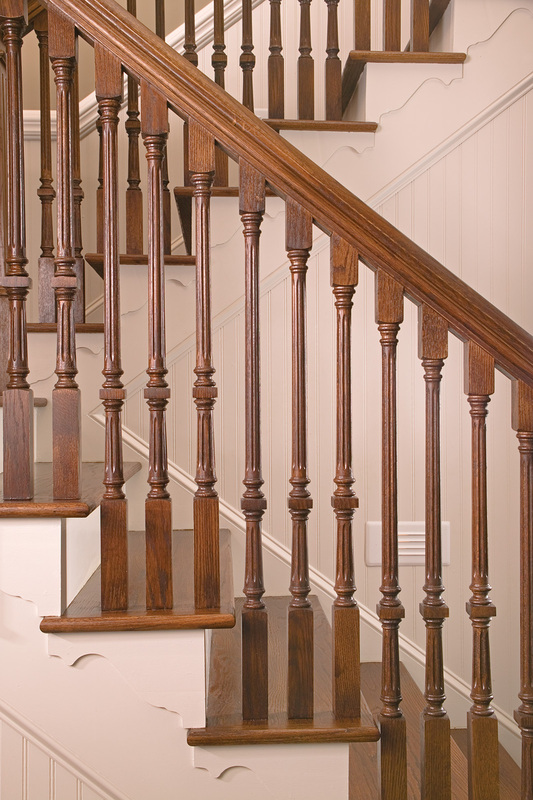 Pictured here with 1101, 1102, and 1708 balusters with a 4010 turned newel. 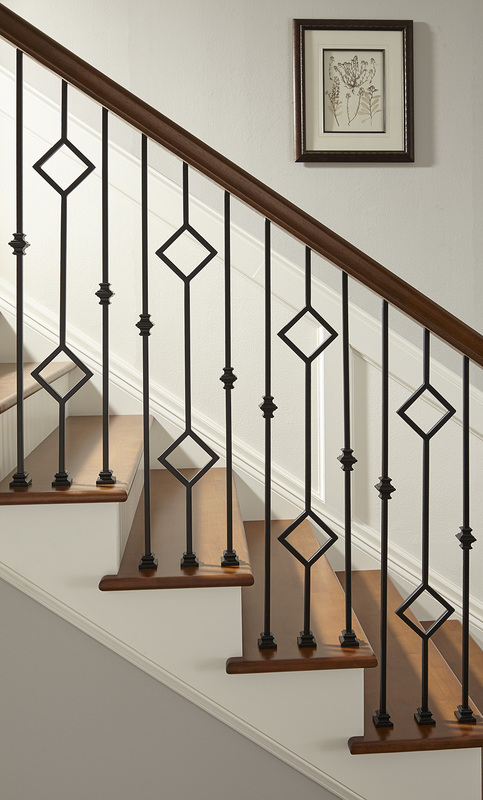 Iron newels are available in the Palermo Collection. 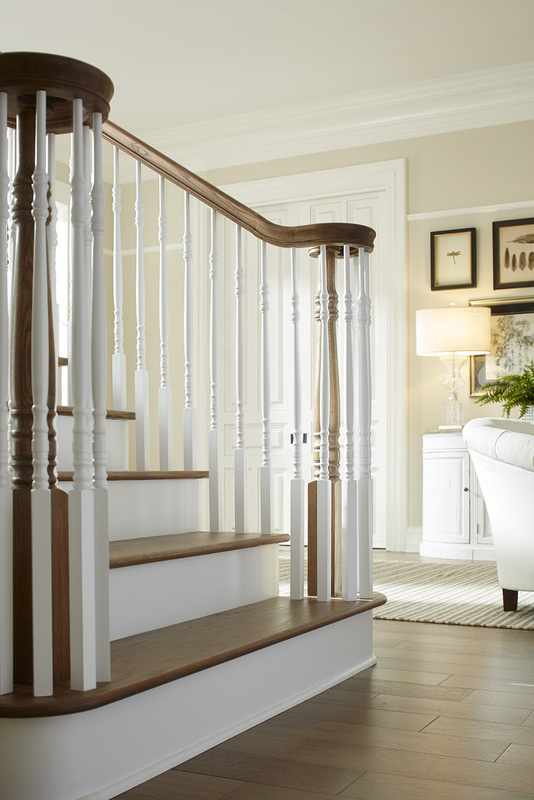 Pictured here with the 1190 newel. 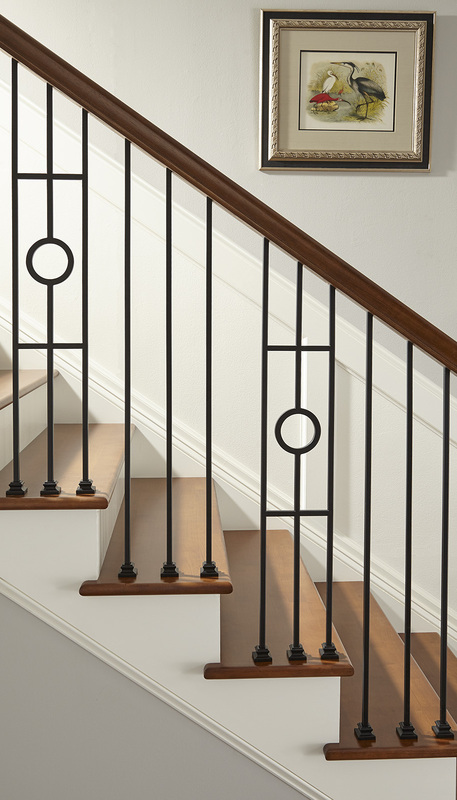 Iron newels are available in the Palermo Collection. 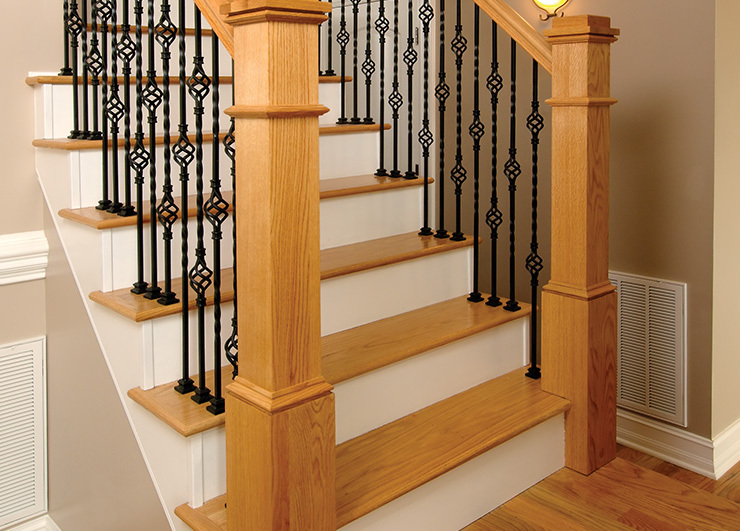 Pictured here with 1101 and 1113 balusters and the 1190 newel. 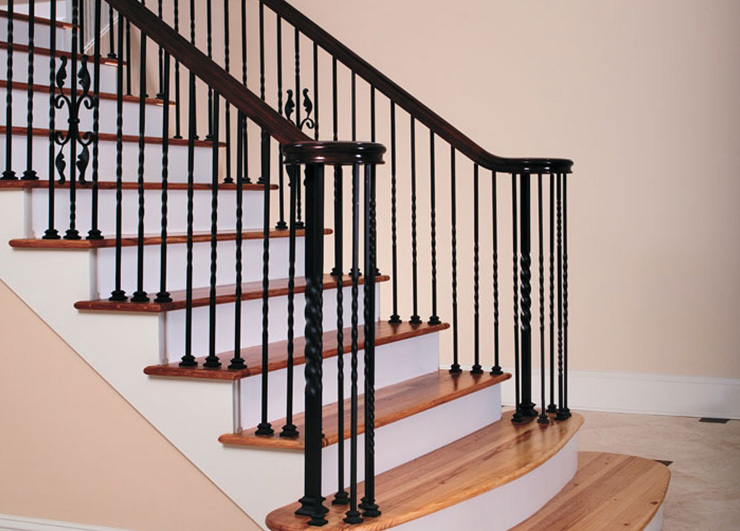 Palermo features traditional basket balusters. 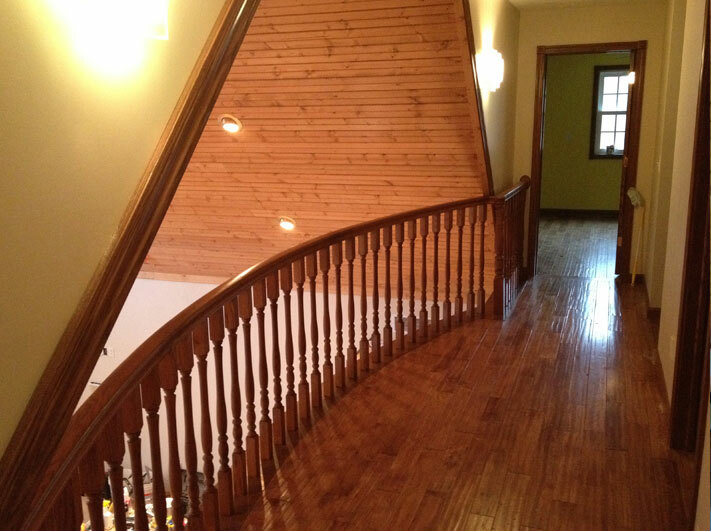 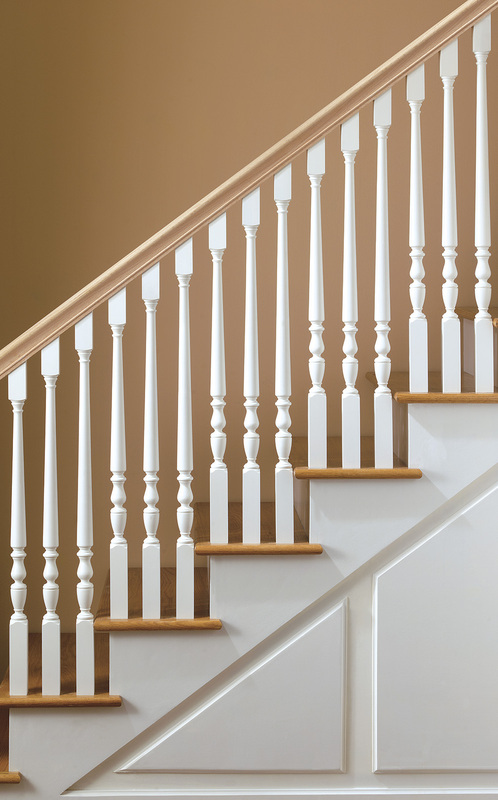 Pictured here with 1121, 1122, and 1113 balusters and a 3014 twist newel. 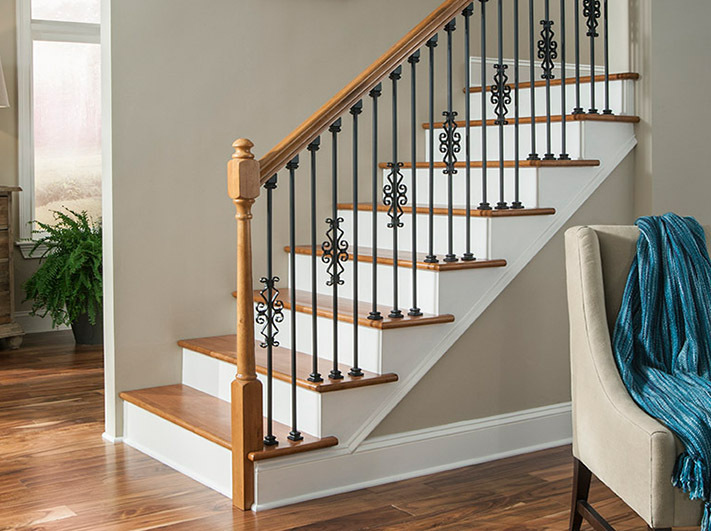 Vicenza balusters feature a bold ribbon twist. 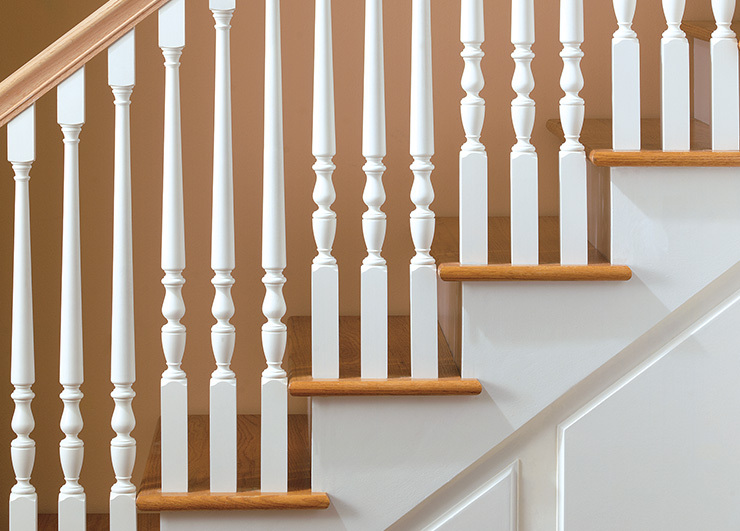 Pictured here with 1301, 1302 and 1332 balusters. 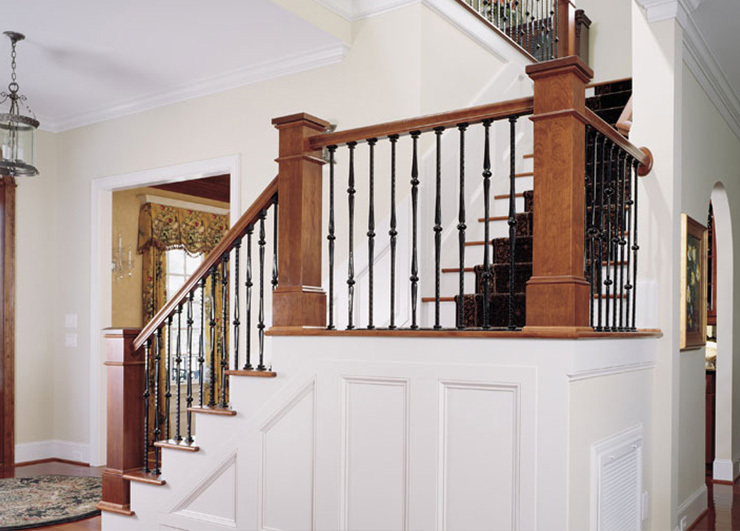 Marsala balusters have a gothic design featuring round knuckles. 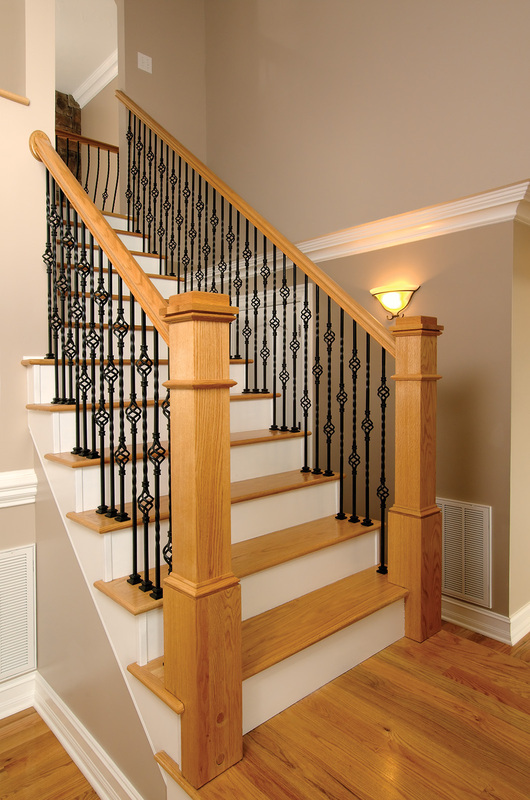 Pictured here with 1501 and 1502 balusters. 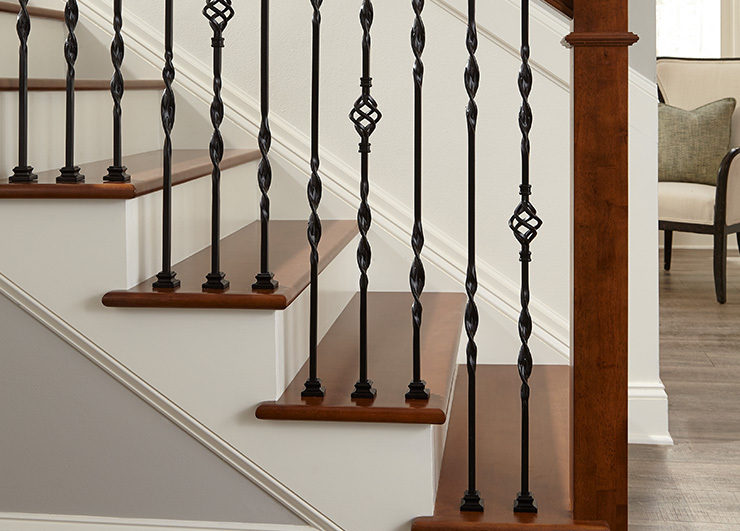 Marsala balusters have a gothic design featuring round knuckles. 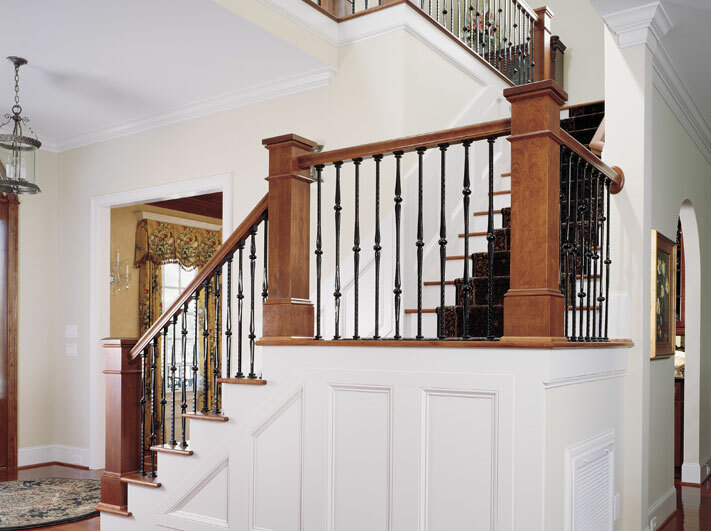 Pictured here with 1501 and 1502 balusters and the 3014 newel. 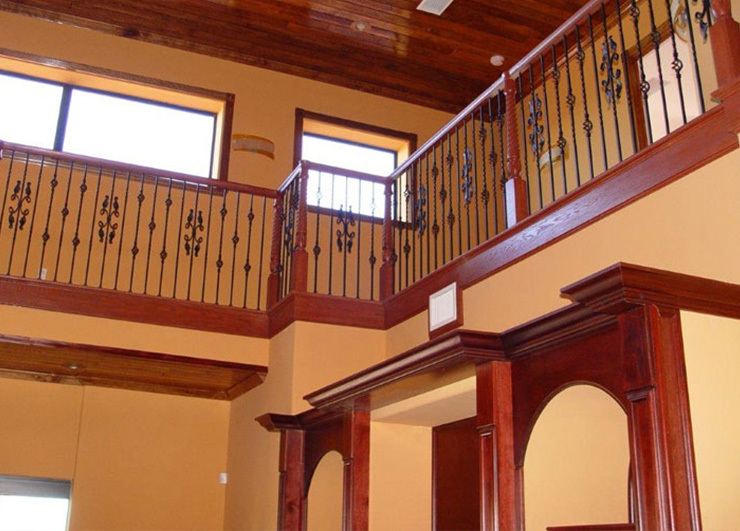 Marsala balusters have a gothic design featuring round knuckles. 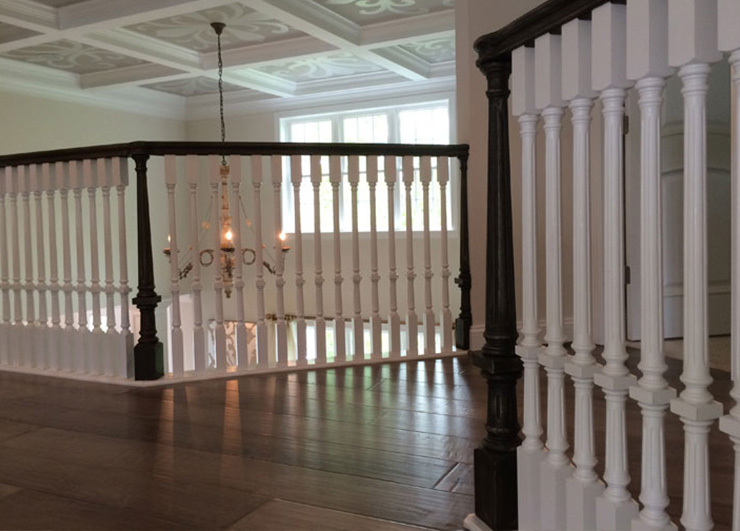 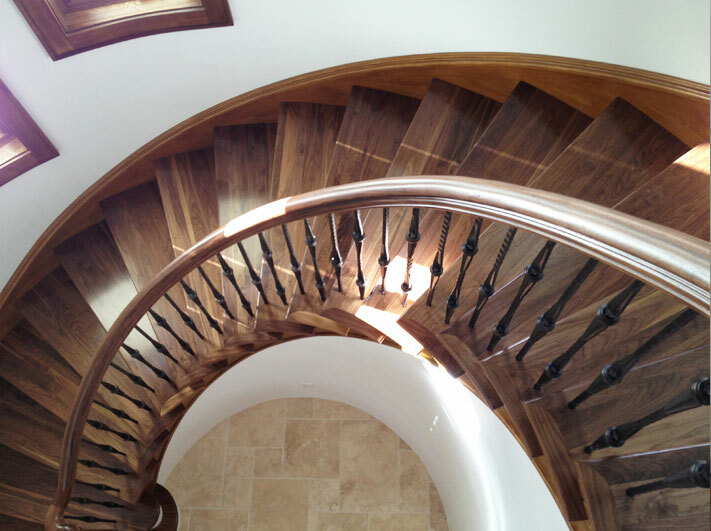 Pictured here with 1501 and 1502 balusters and custom box newels. 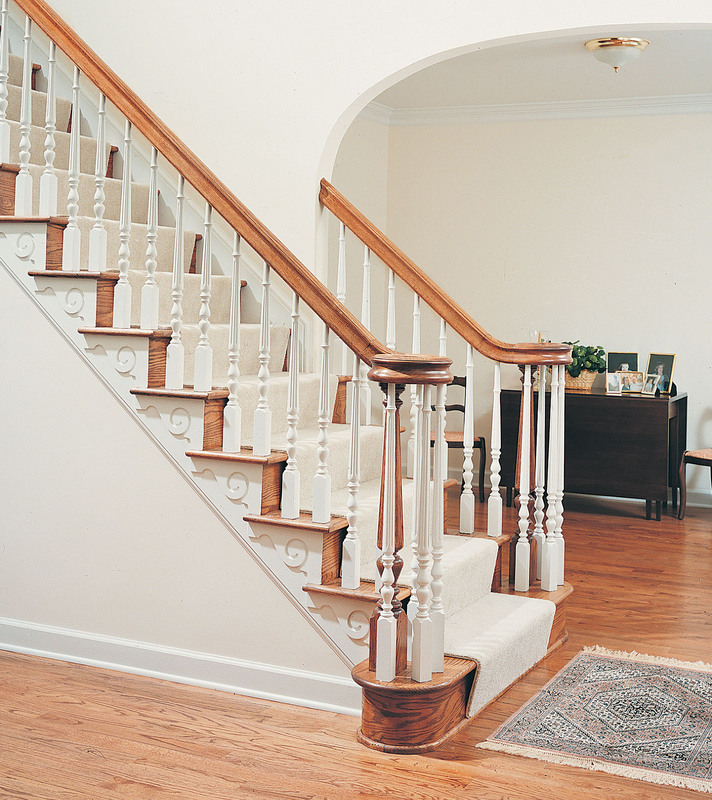 Marsala balusters have a gothic design featuring round knuckles. 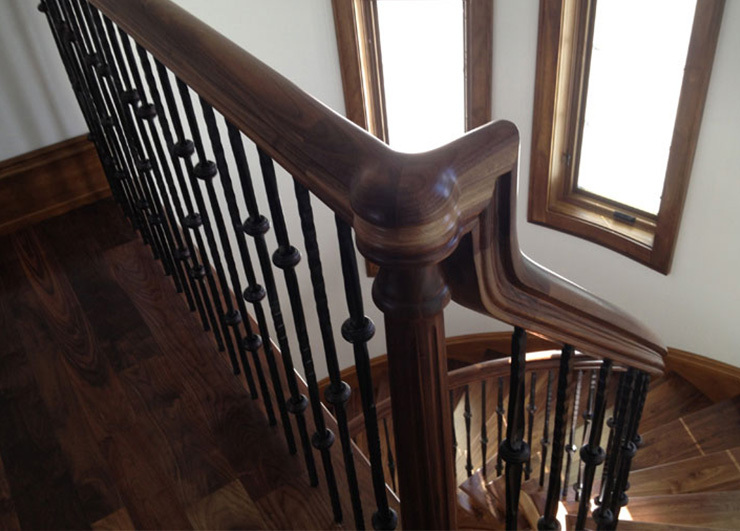 Pictured here with 1501 and 1502 balusters and Walnut 6519 rail. 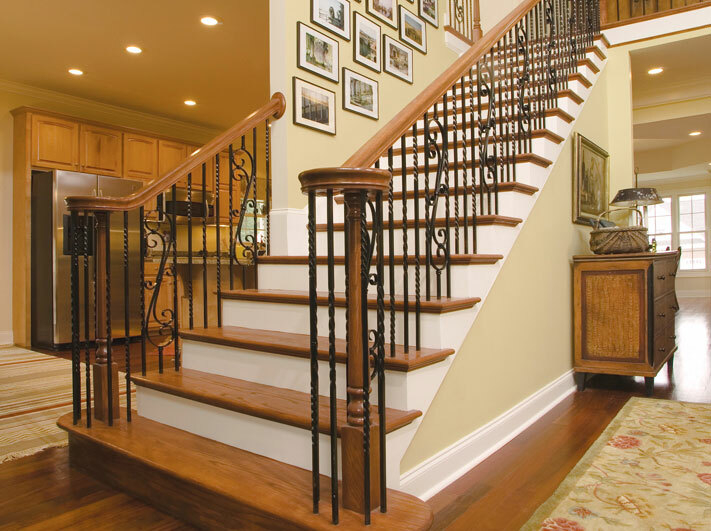 Design your own baluster with accessory scrolls and baskets. 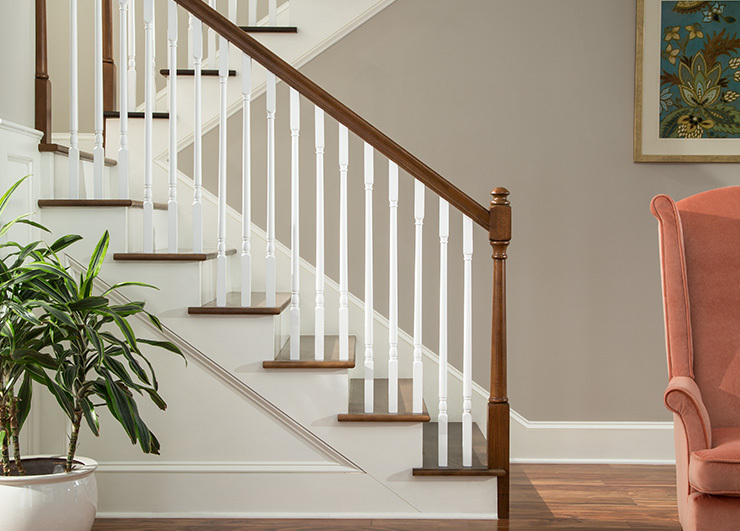 Pictured here with the 1861 scroll. 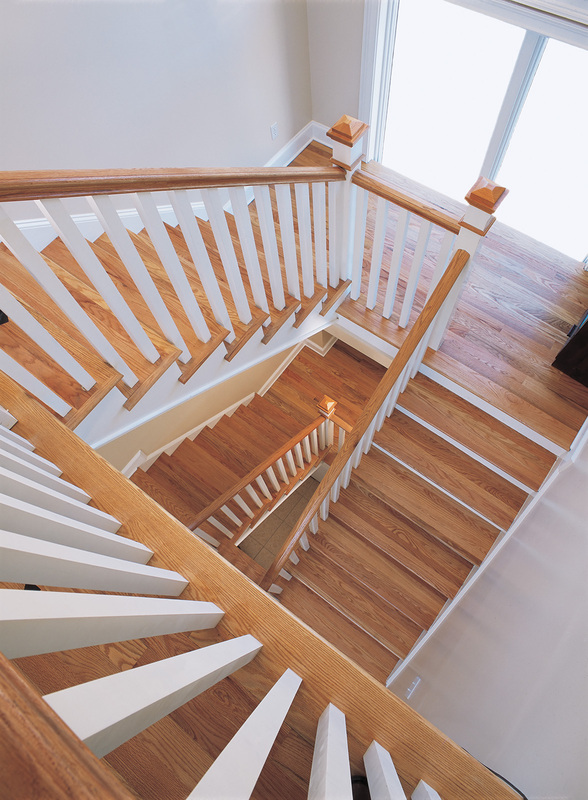 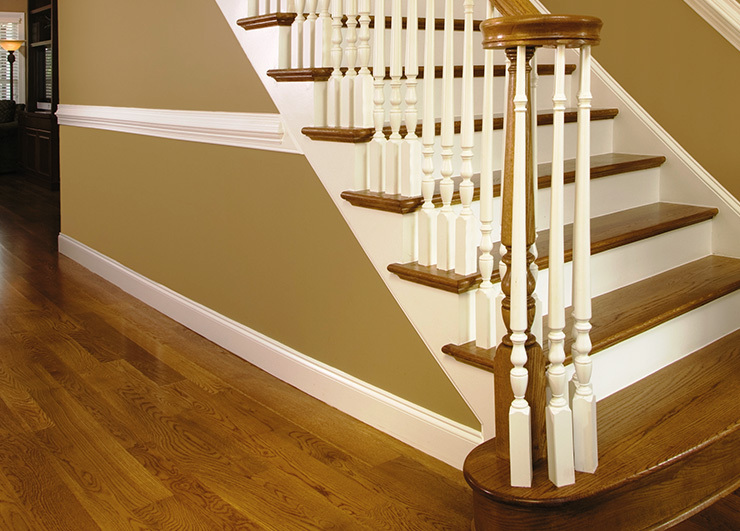 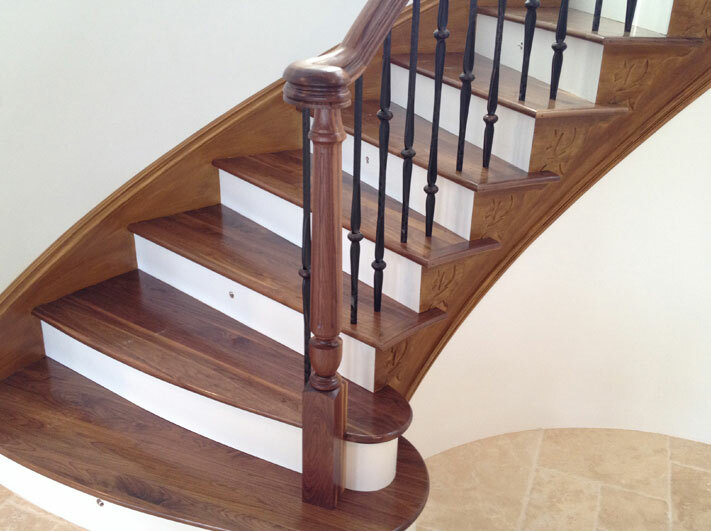 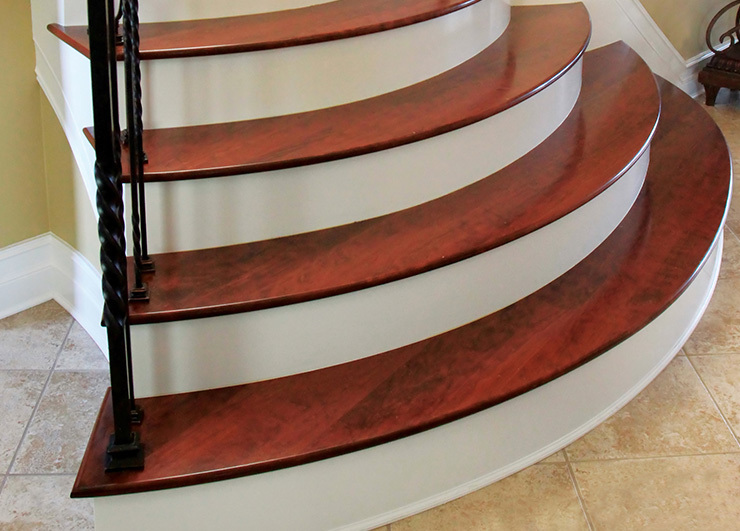 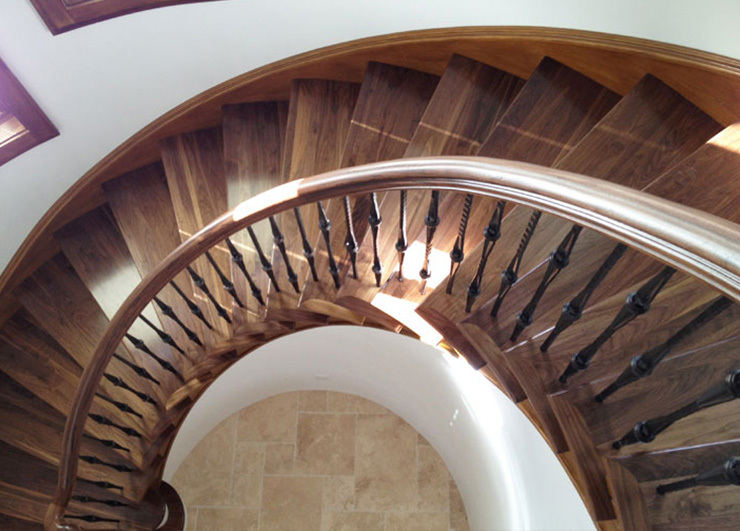 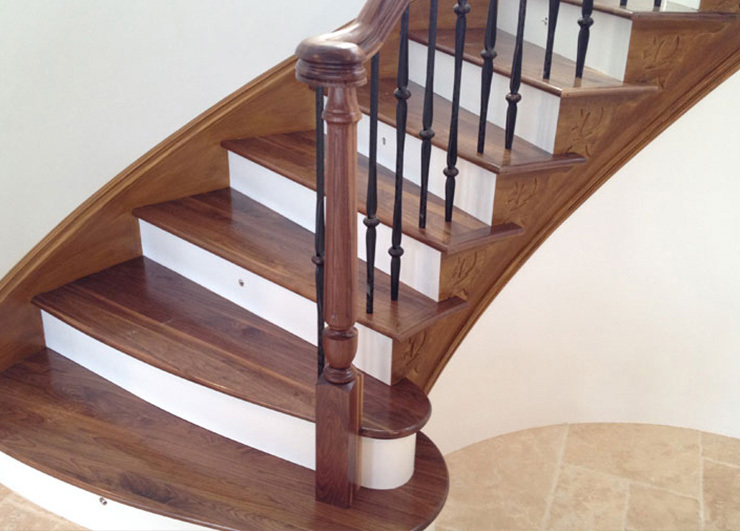 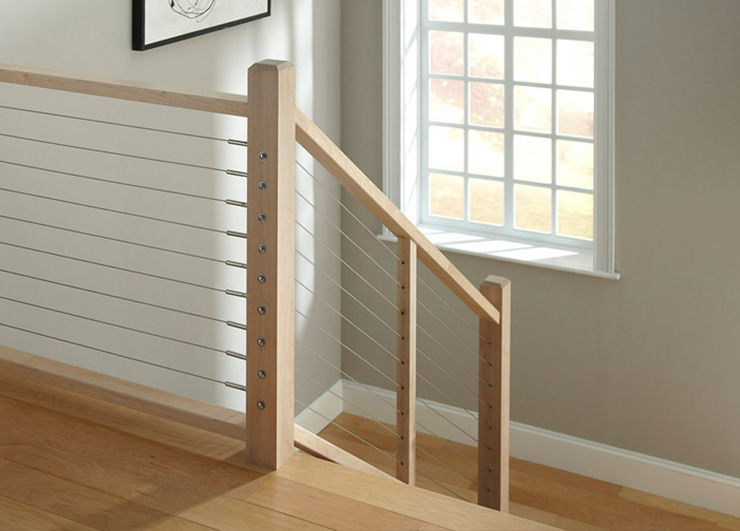 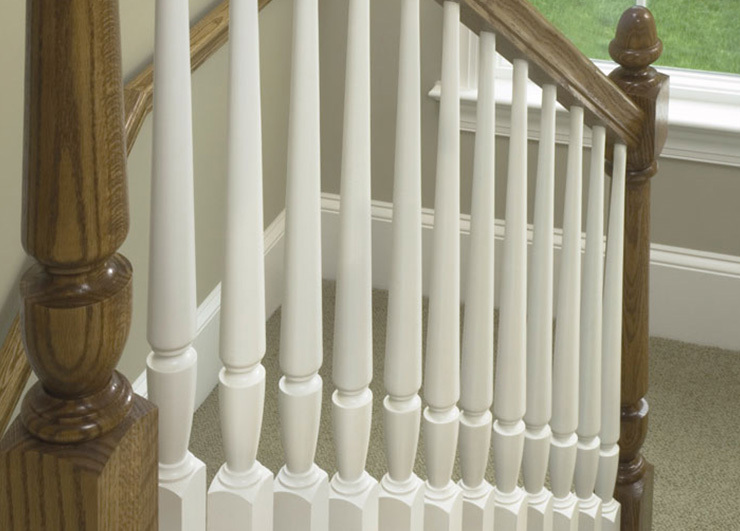 Add some beef to your stair with the larger 19mm baluster. 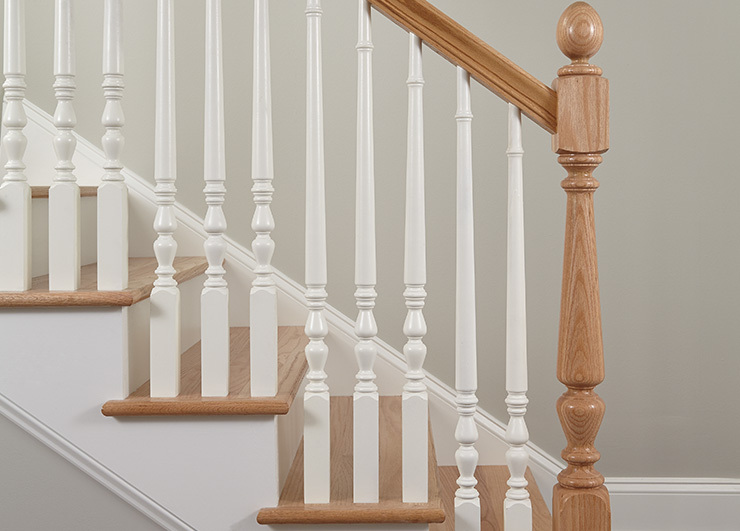 Pictured here with the 2102 and 2121 balusters and 4814 newel. 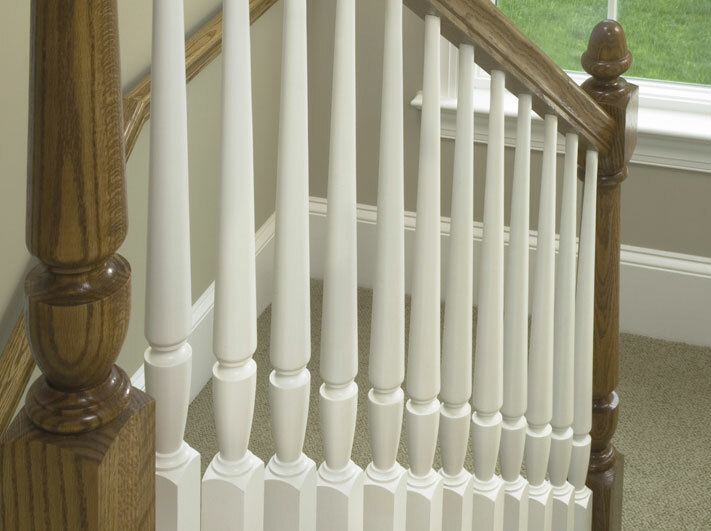 Add some beef to your stair with the larger 19mm baluster. 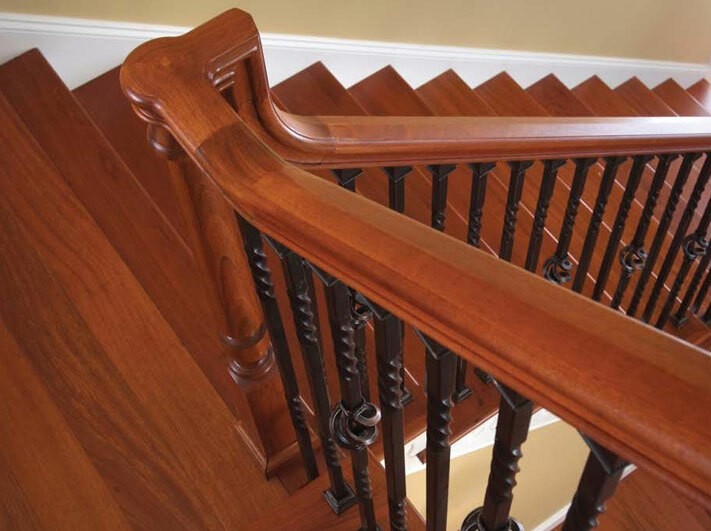 Pictured here with the 2102 and 2121 balusters and custom Brazilian Cherry parts. 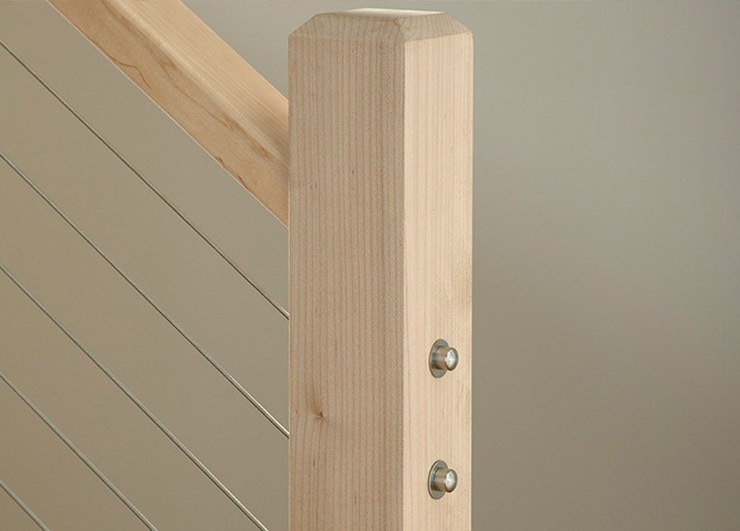 Add some beef to your stair with the larger 19mm baluster. 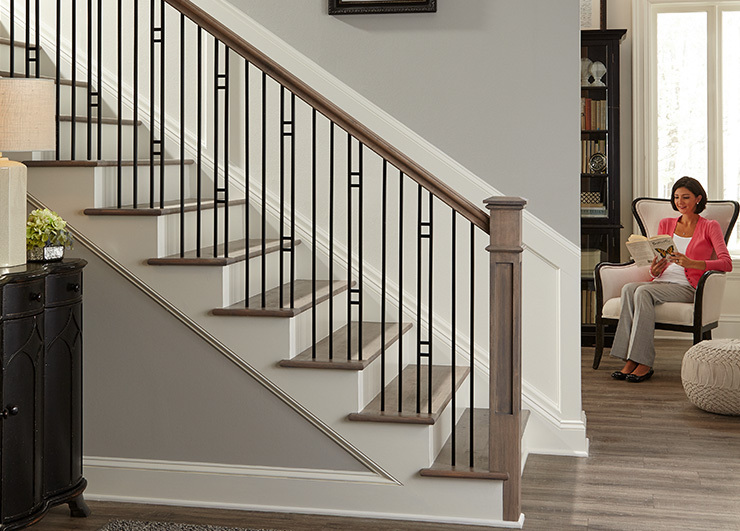 Pictured here with the 2701 and 2702 balusters and 4094NS newel. 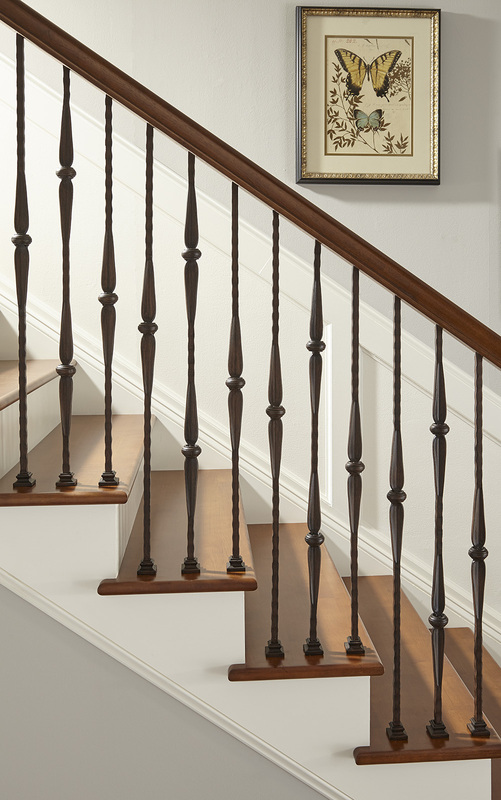 Palermo features traditional twist and basket balusters. 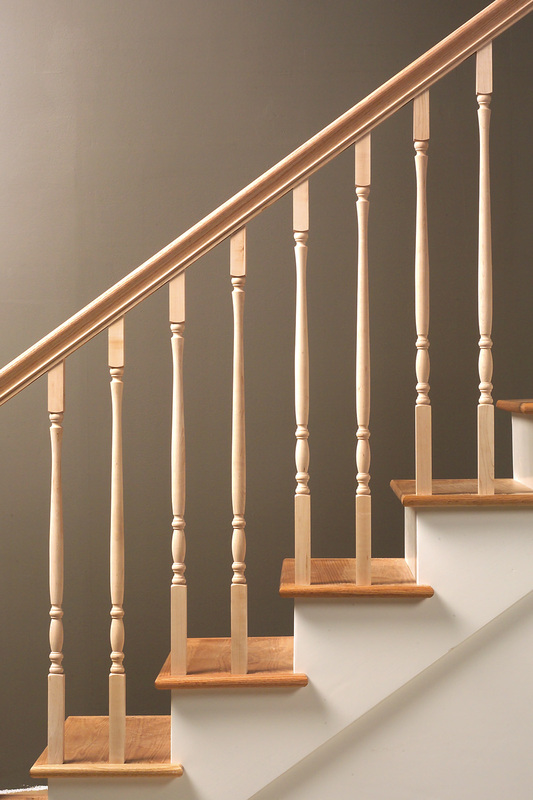 Pictured here with 1102 and 1121 balusters with a 4814 turned newel. 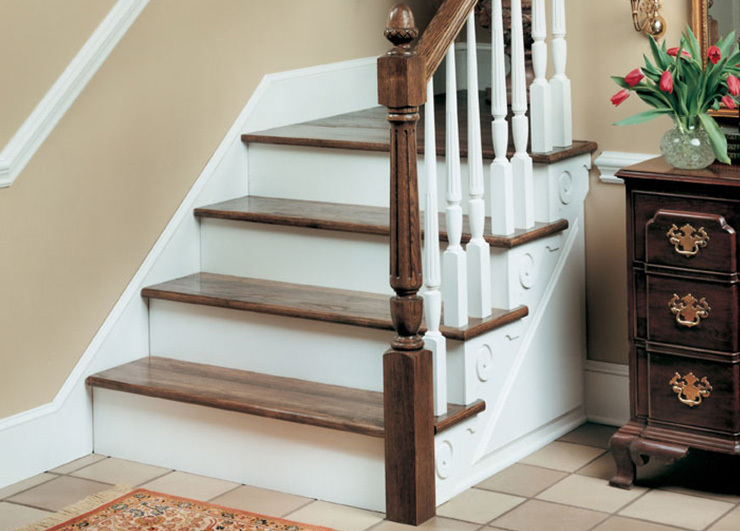 Palermo features traditional twist and basket balusters. 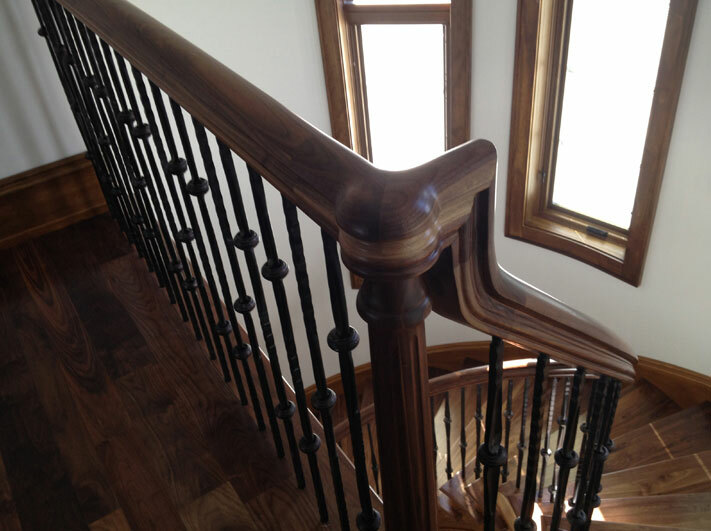 Pictured here with 3121 and 3122 balusters with a 4091 box newel. 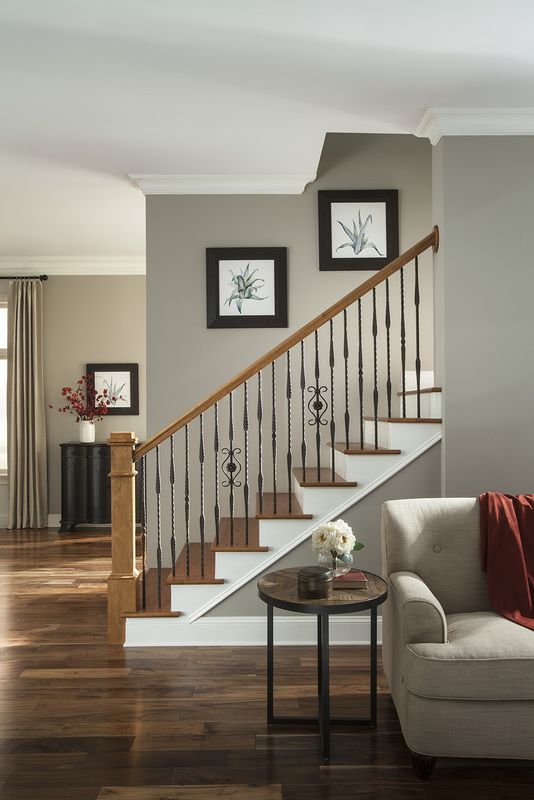 Roma features ornate feather designs. 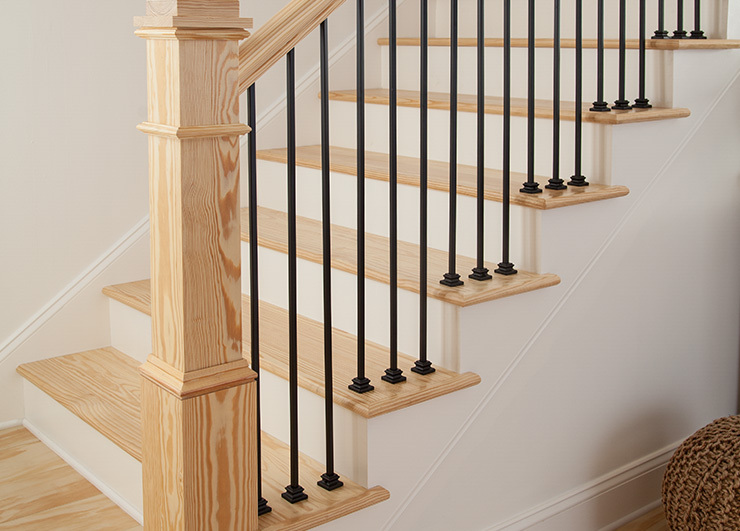 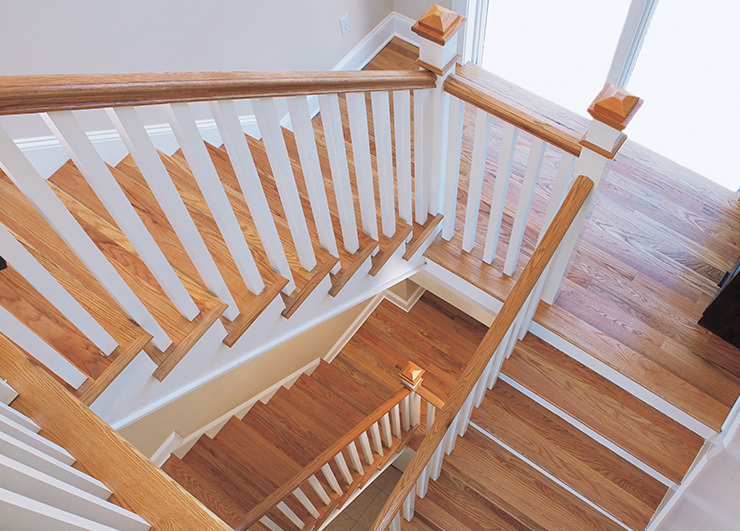 Pictured here with 3201, 3202 and 3212 balusters with a 4091 box newel. 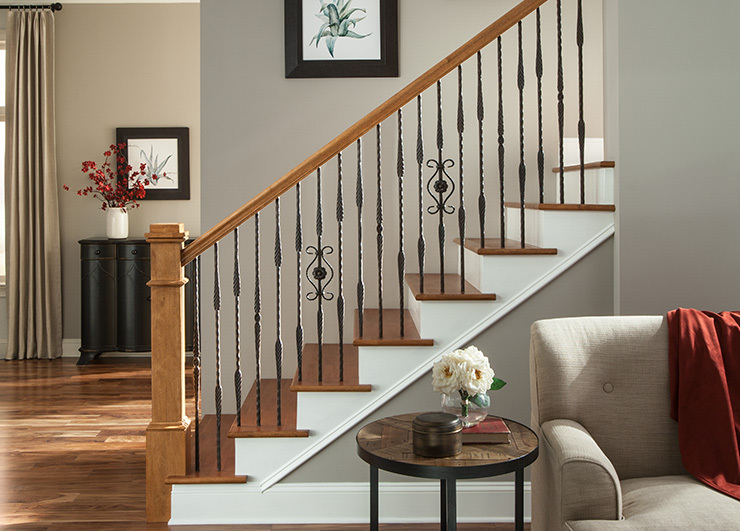 Vicenza balusters feature a bold ribbon twist. 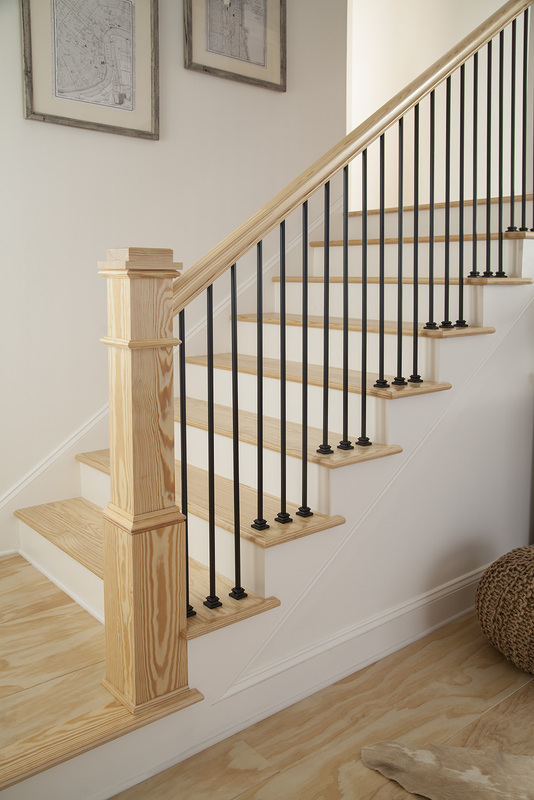 Pictured here with 3302 and 3321 balusters with a 4076 box newel. 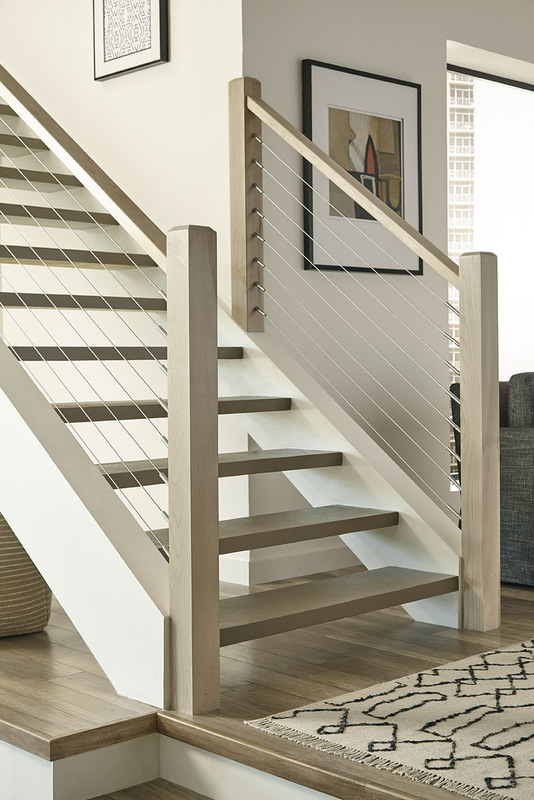 Forma Collection features contemporary designs. 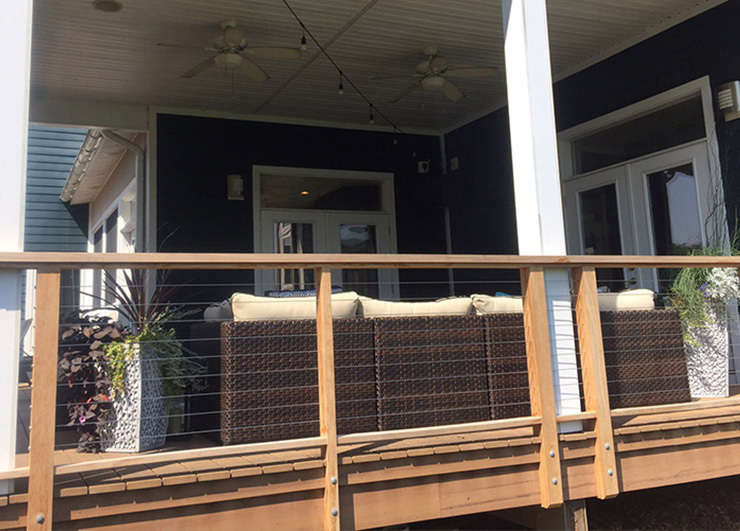 Pictured here with 3403 panel and 3700 plain bar. 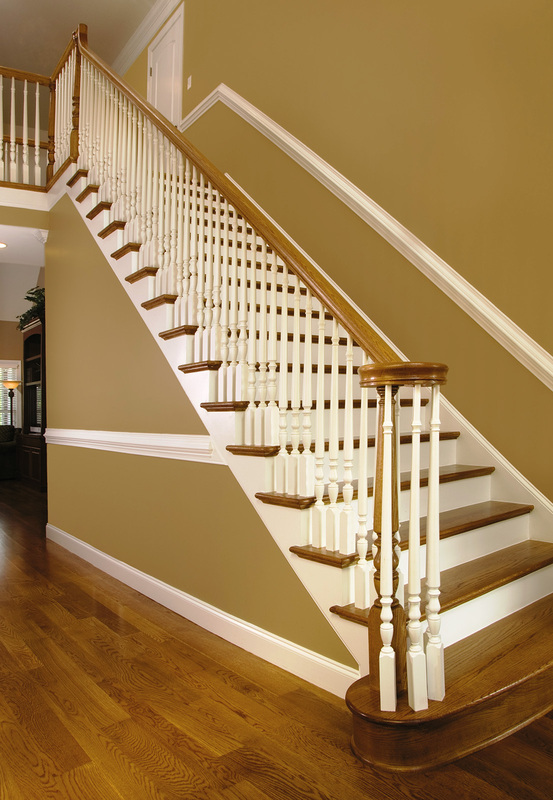 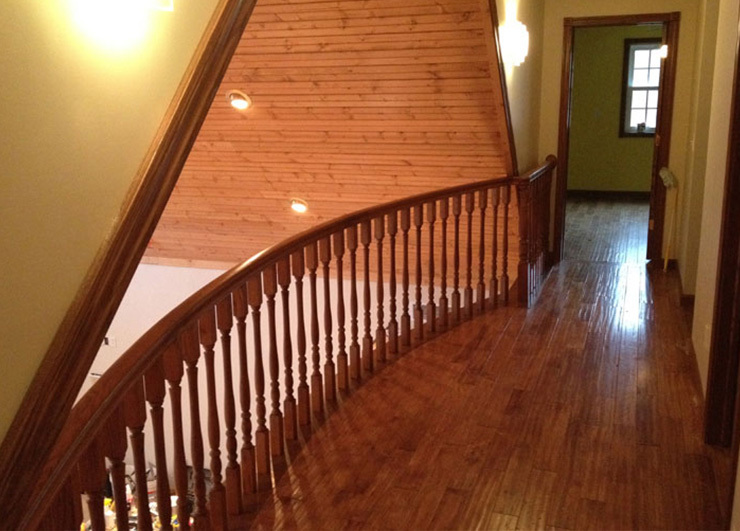 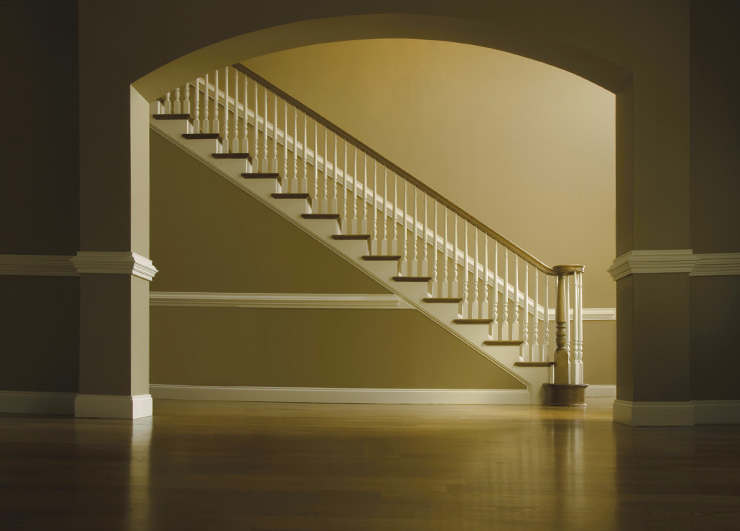 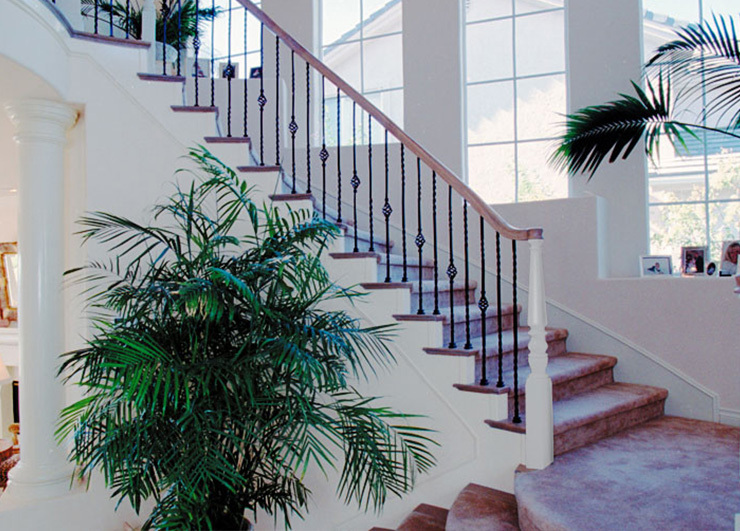 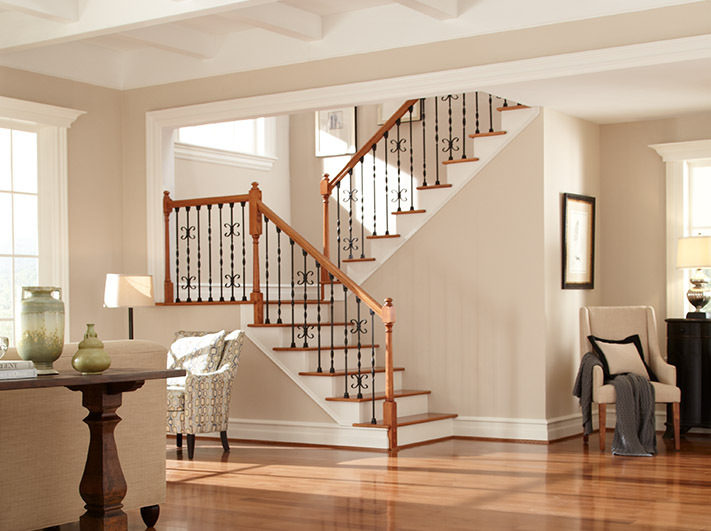 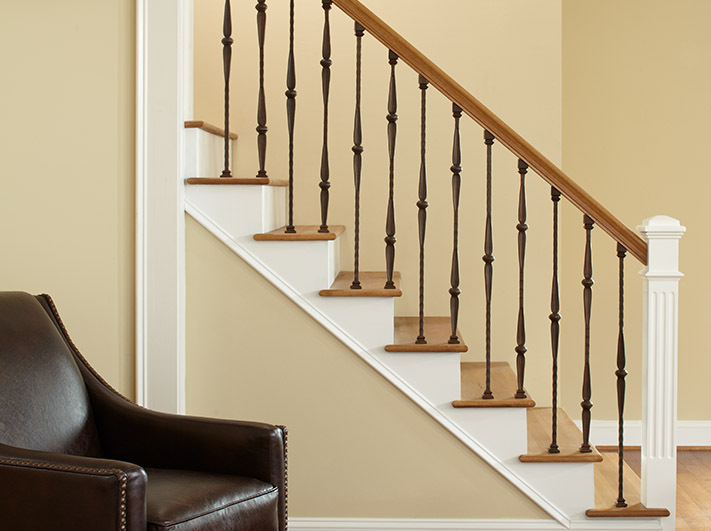 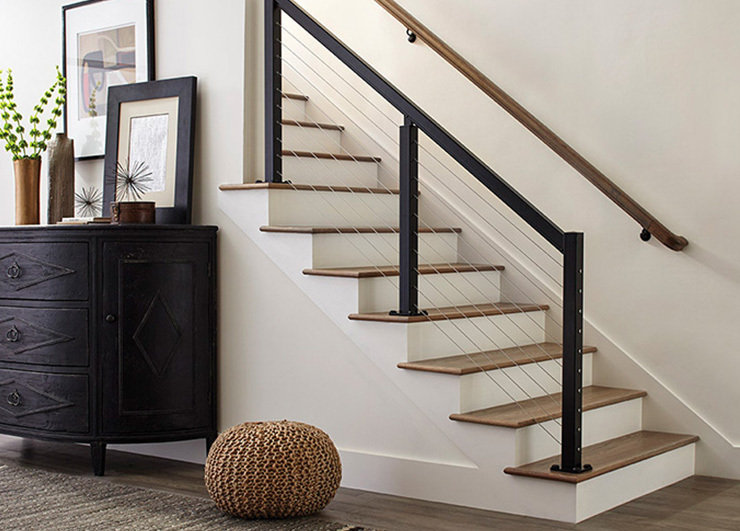 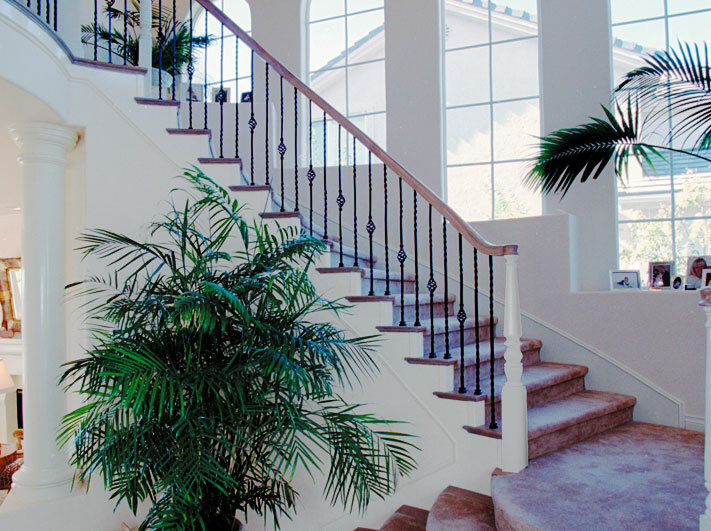 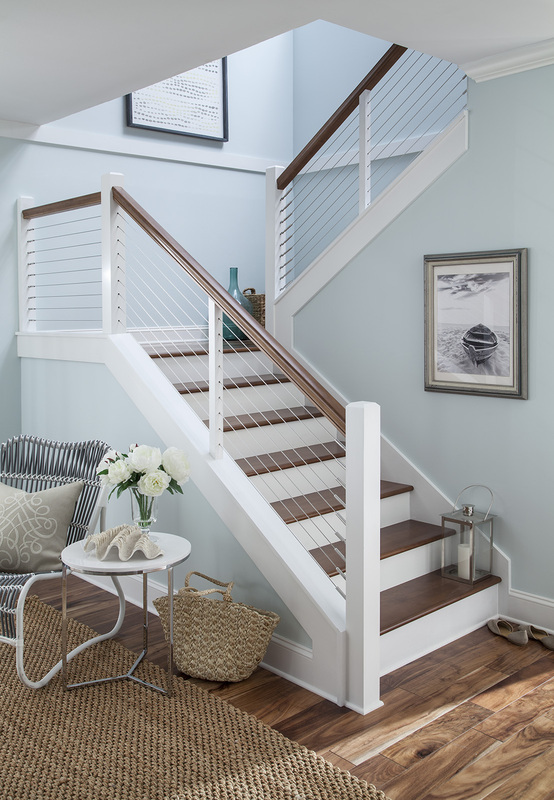 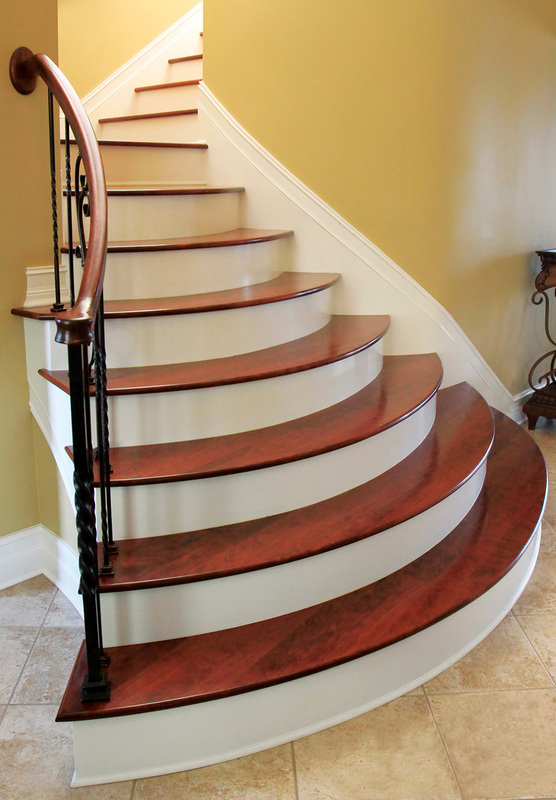 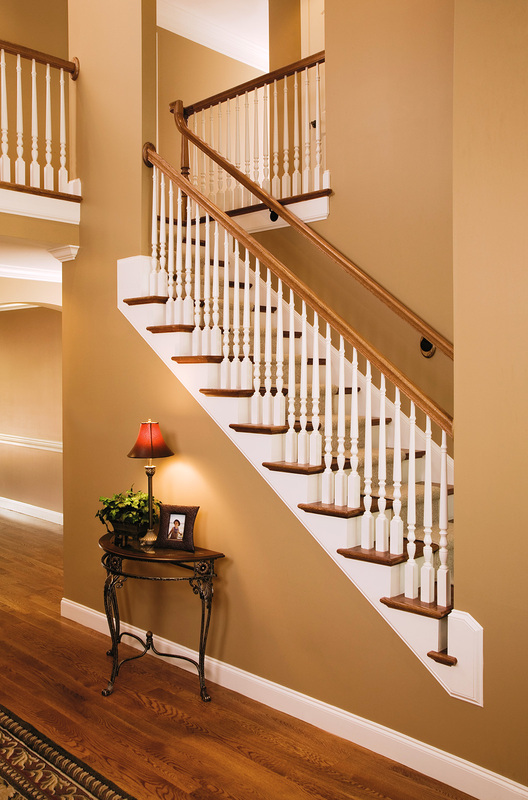 Plain bar balusters can be paired with a variety of balusters for beautiful stair designs. 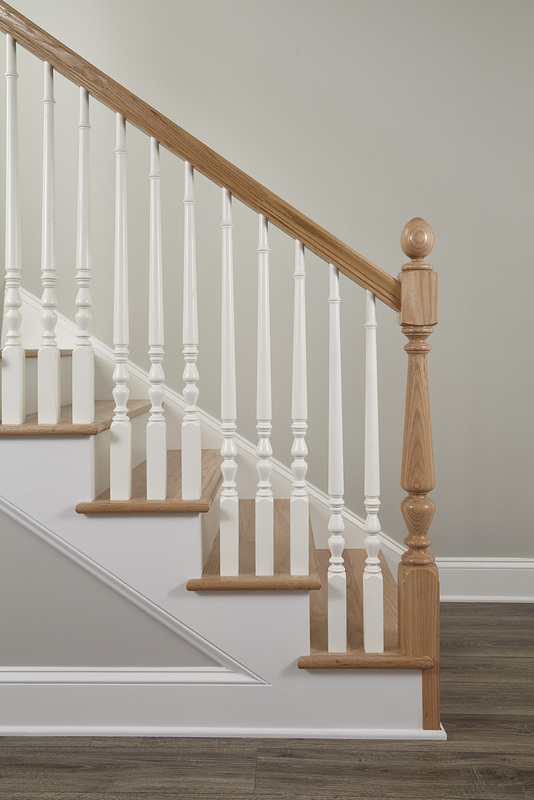 Paired here with the 3404 baluster and 4097 box newel. 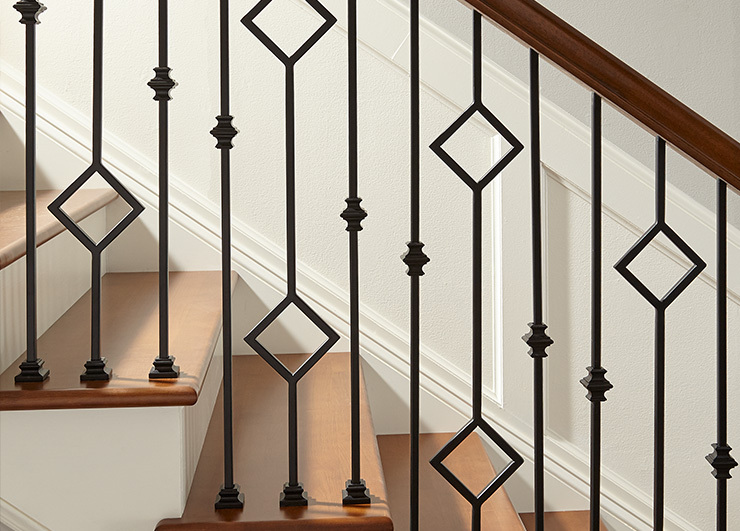 Forma Collection features contemporary designs. 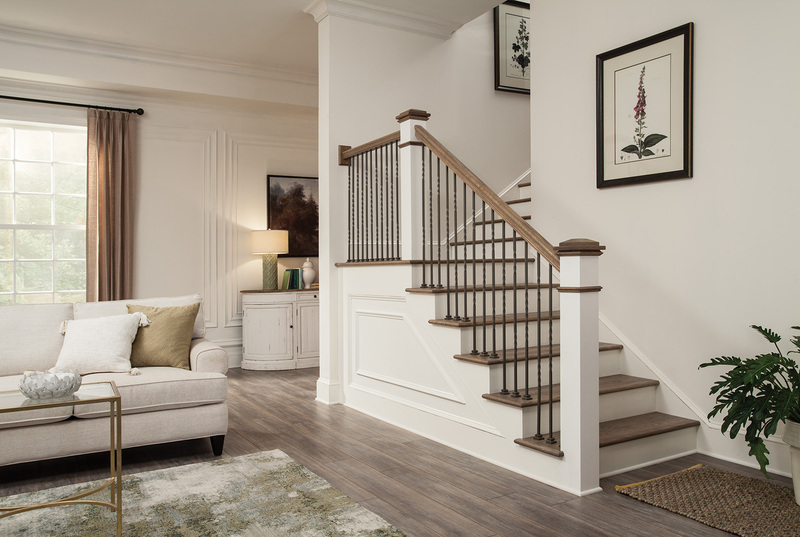 Pictured here with 3407 baluster paired with a 3701 knuckle design. 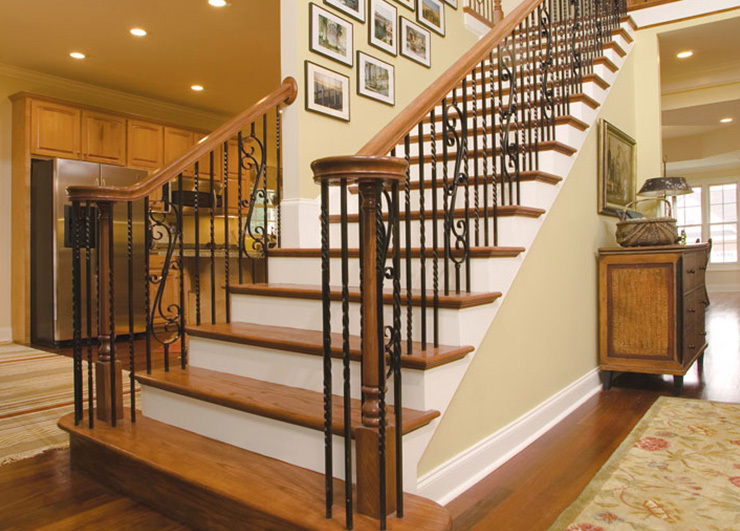 Marsala balusters have a gothic design featuring round knuckles. 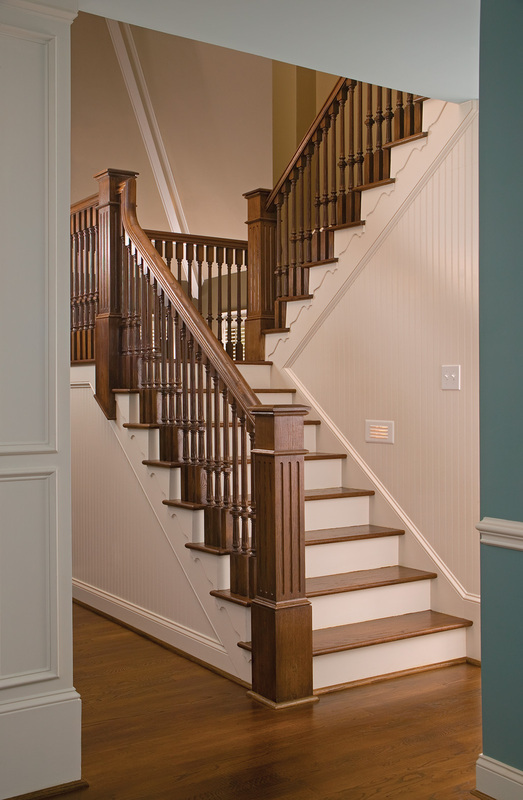 Pictured here with 3501 and 3502 balusters and 4094F box newel. 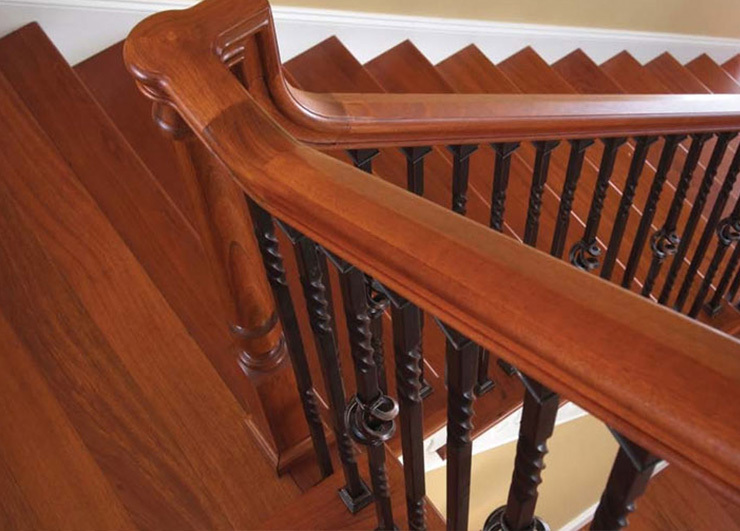 Marsala balusters have a gothic design featuring round knuckles. 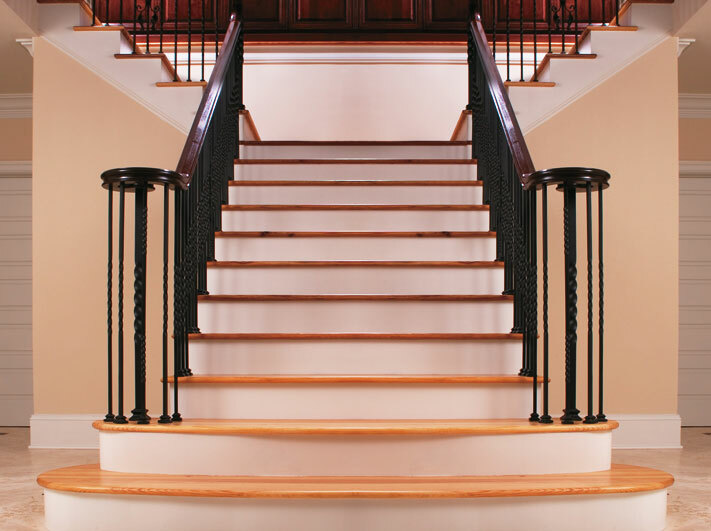 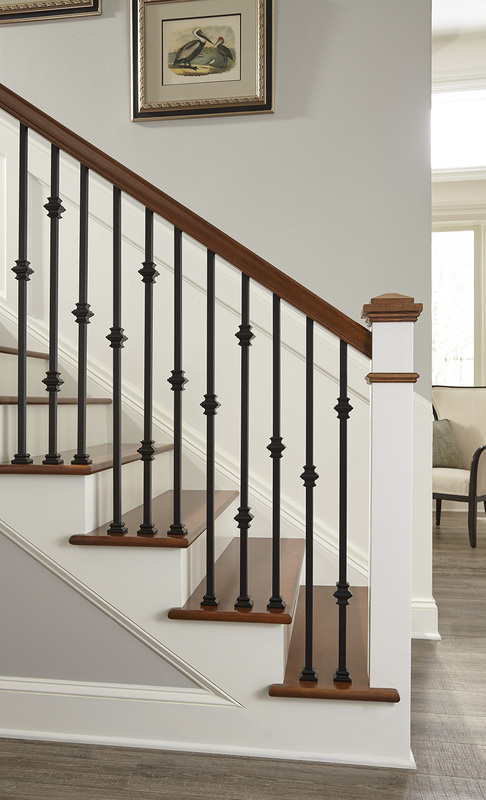 Pictured here with 3501 and 3502 balusters in the Rubbed Bronze finish. 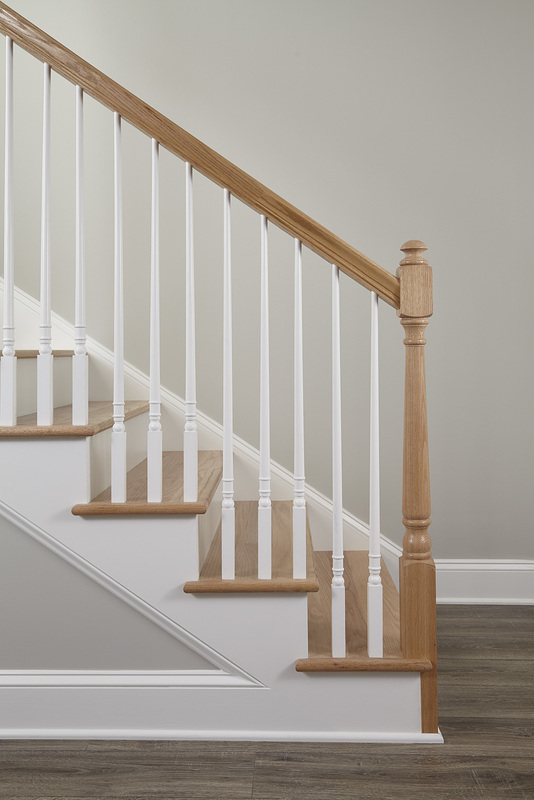 Plain bar balusters with Yellow Pine 4091 box newel. 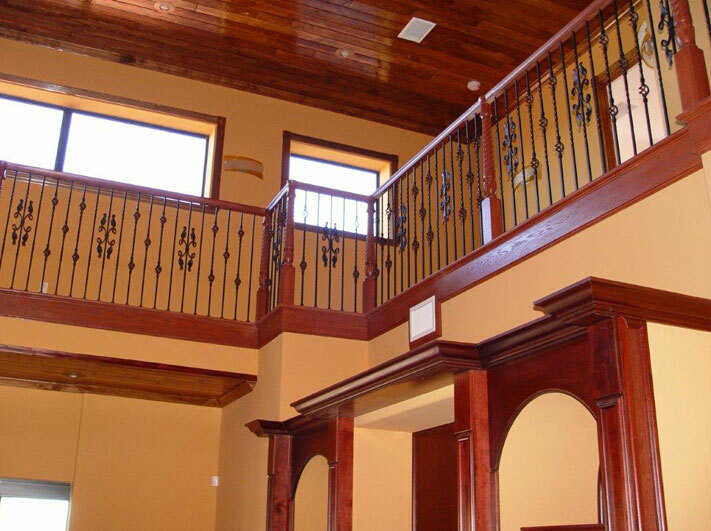 Sicily designs include knuckle and scrolls designs. 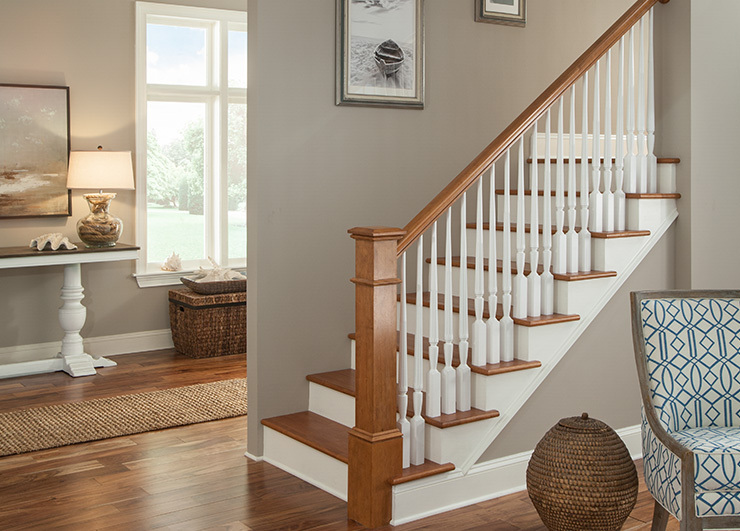 Pictured here with 3701 and 3702 balusters with a 4040 newel. 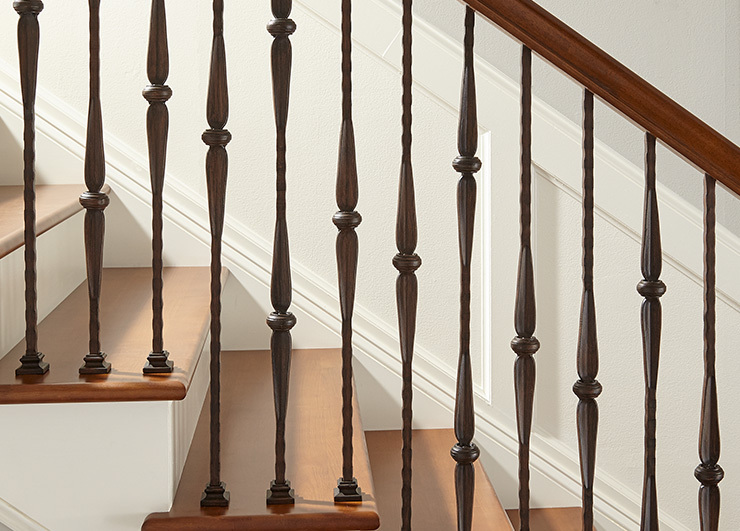 Palermo features traditional twist and basket balusters. 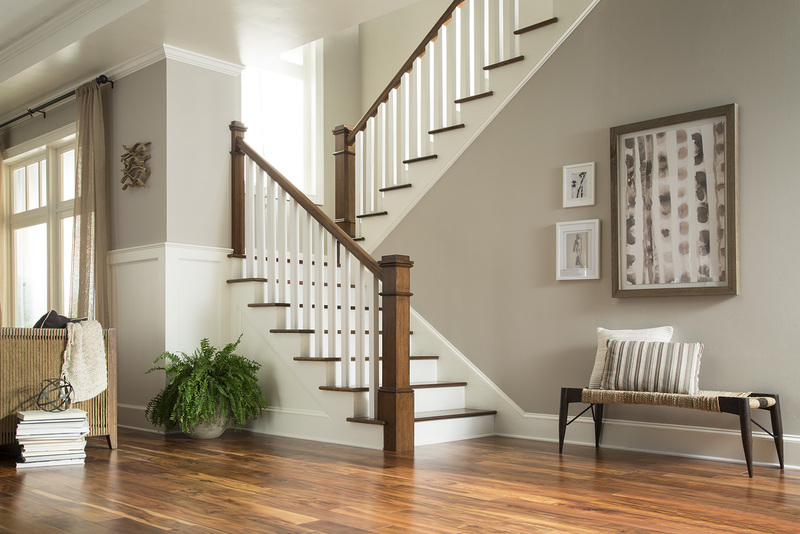 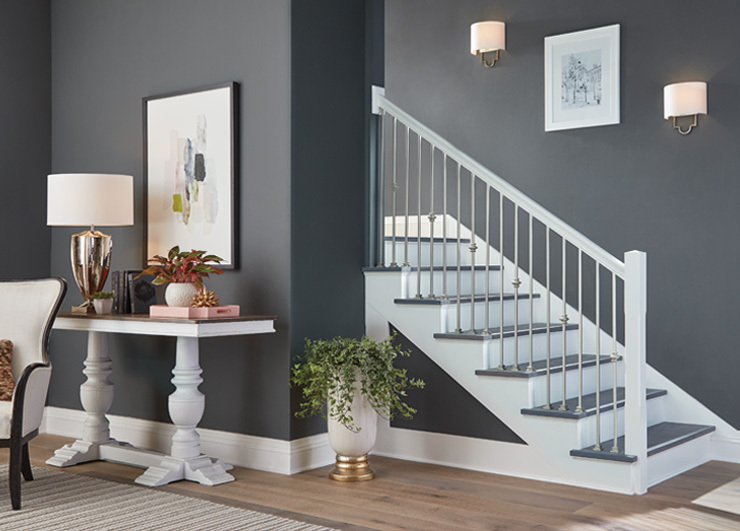 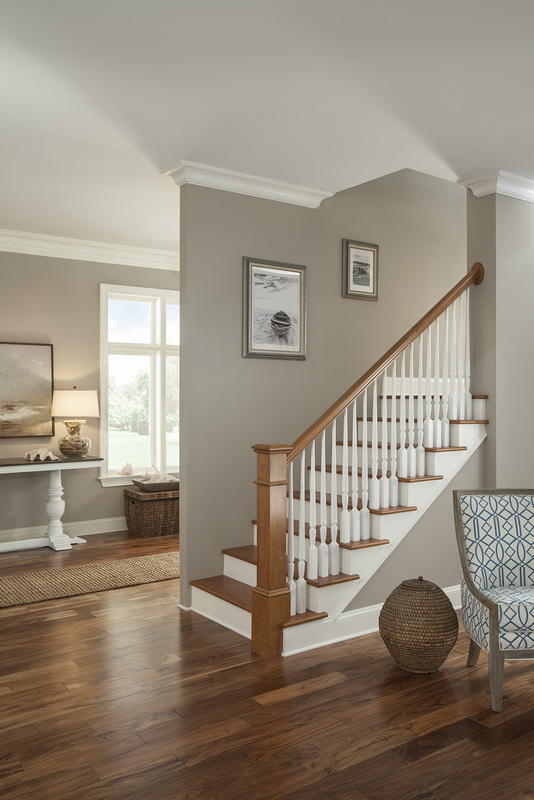 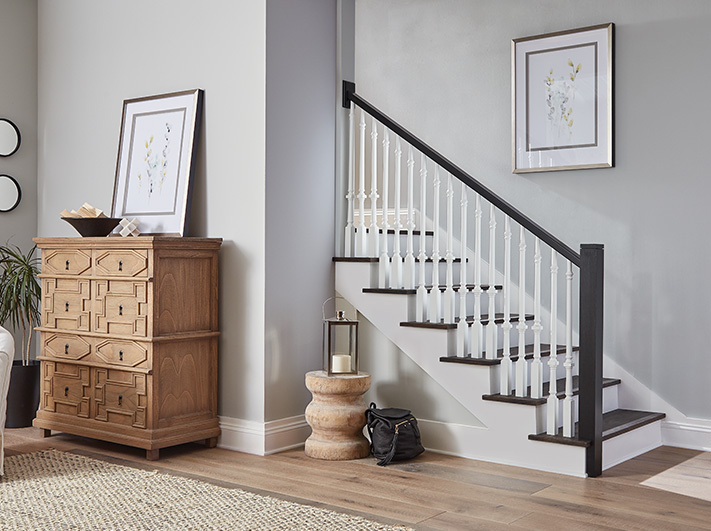 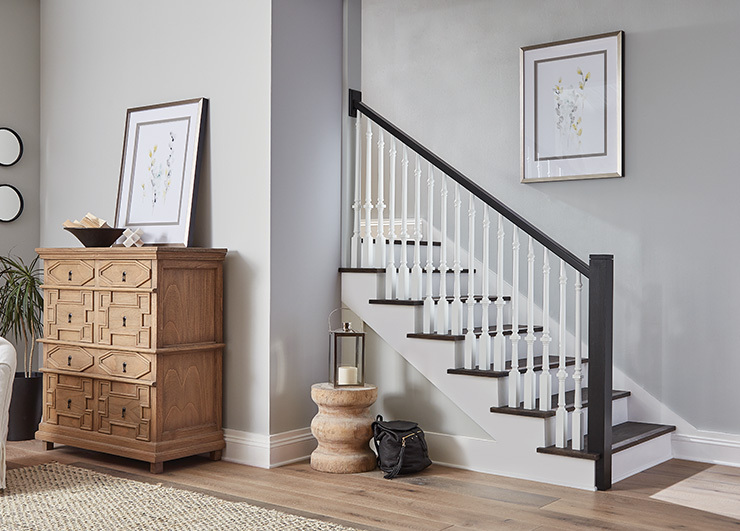 Pictured here with 3101 and 3102 balusters in the Ash Gray finish. 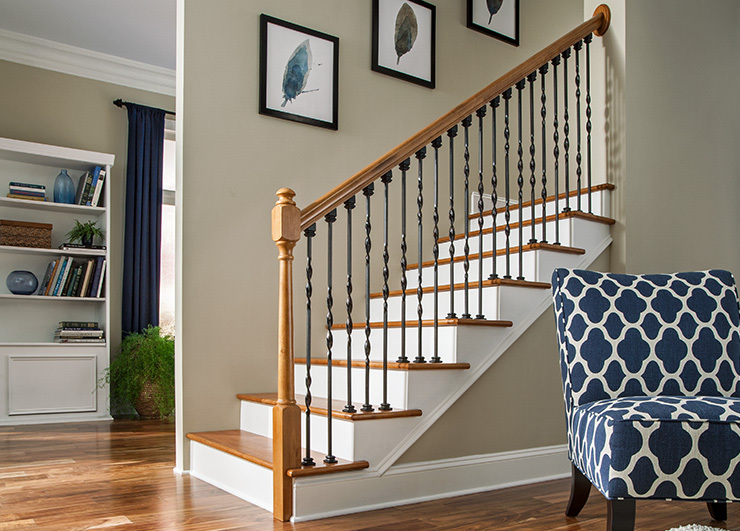 Vicenza balusters feature a bold ribbon twist. 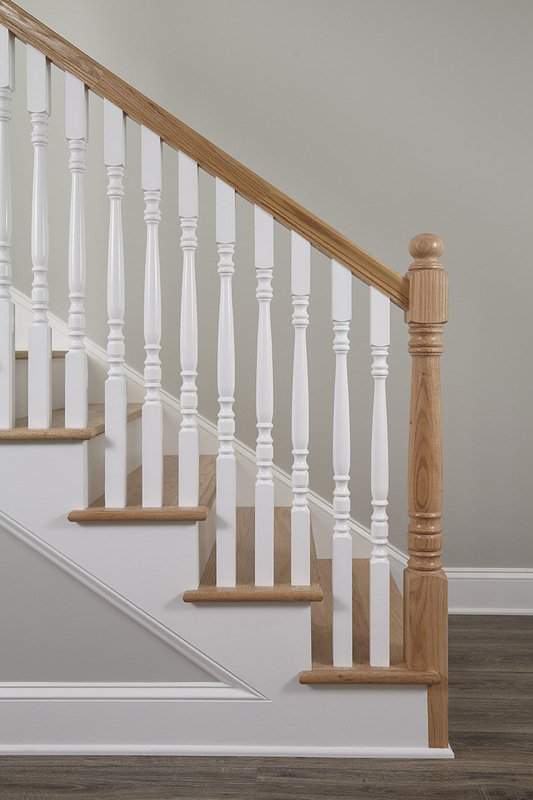 Pictured here with 3301 and 3302 balusters with a 4040 newel. 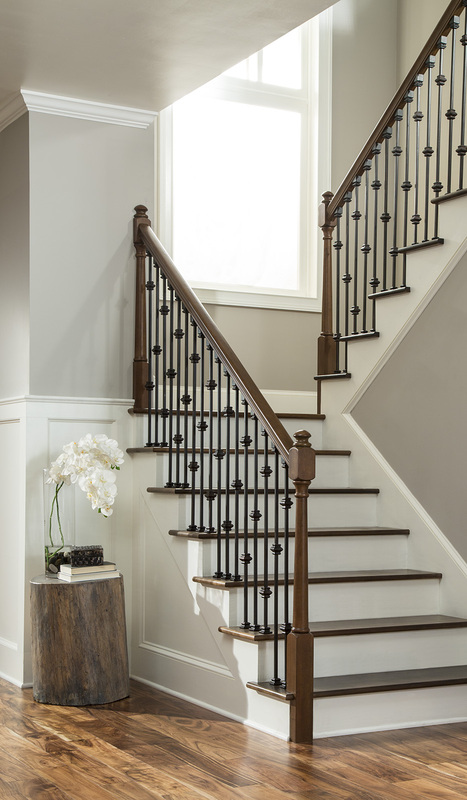 Satin Nickel 3700 and 3701 balusters with 4086 newel. 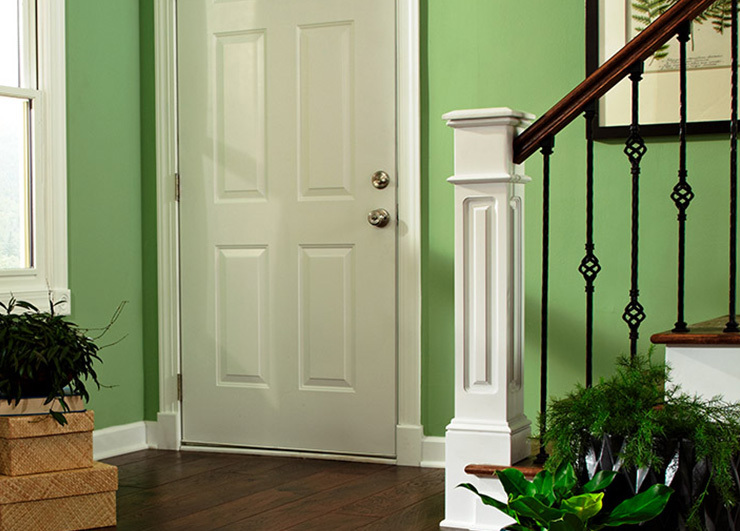 Satin Nickel- 4086 Chamfer Detail. 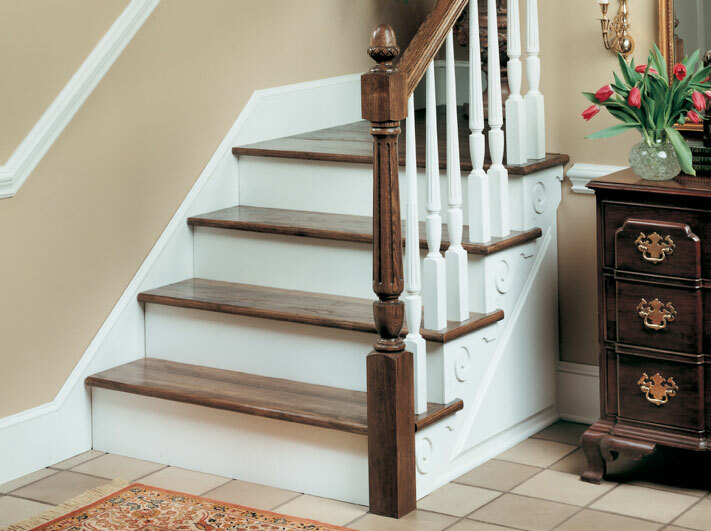 Combine series for the optimal design. 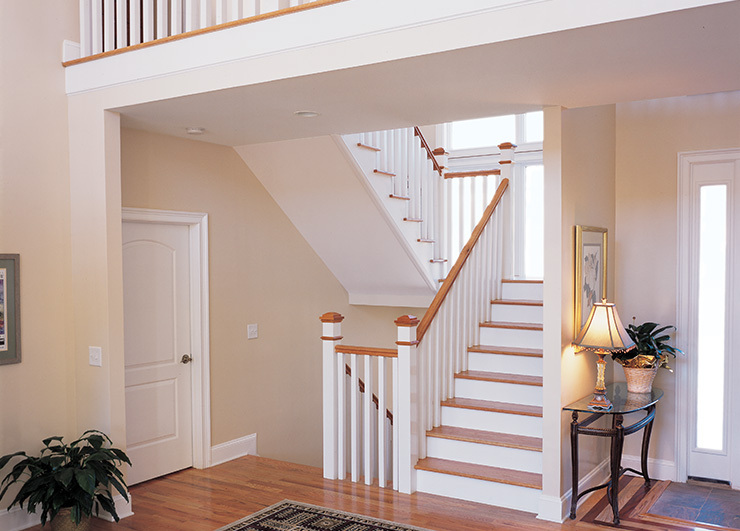 Pictured here with 102 and 300 Series along with 6002 rail. 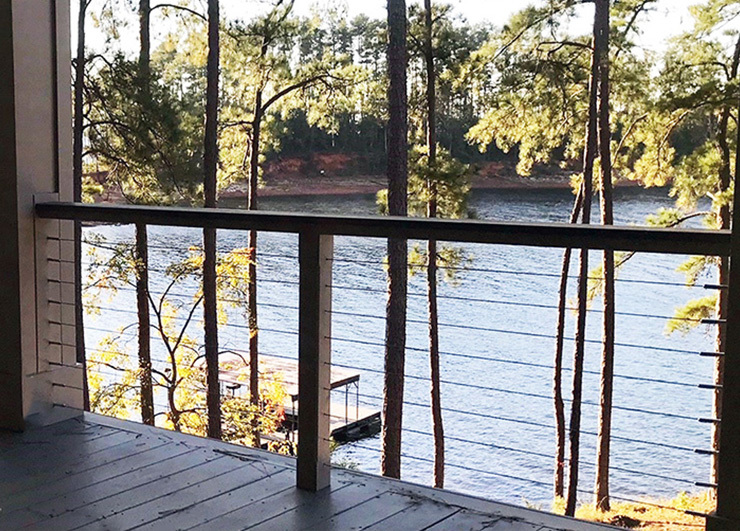 Get the best view from your deck. 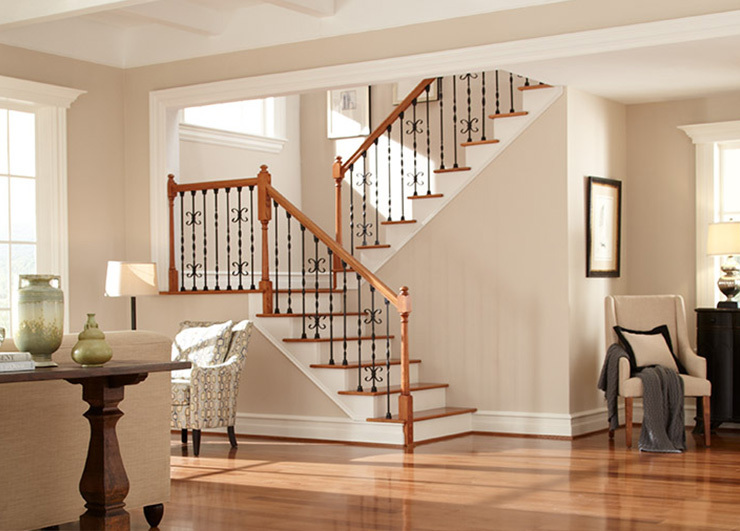 300 Series pictured. 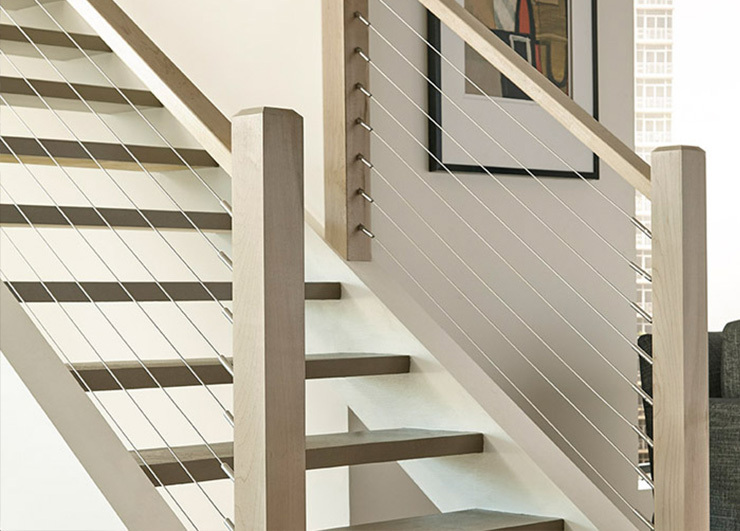 Open risers and cable make for a very modern look. 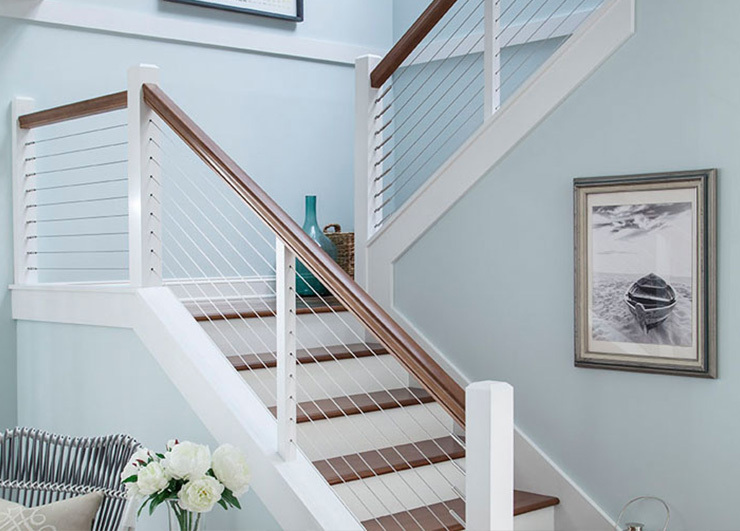 Pictured here with 500 series cable. 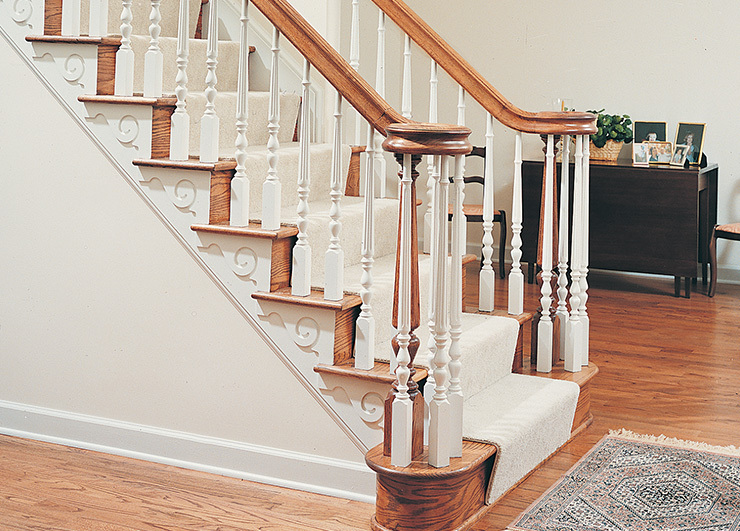 Series 500 cable with 6210 rail. 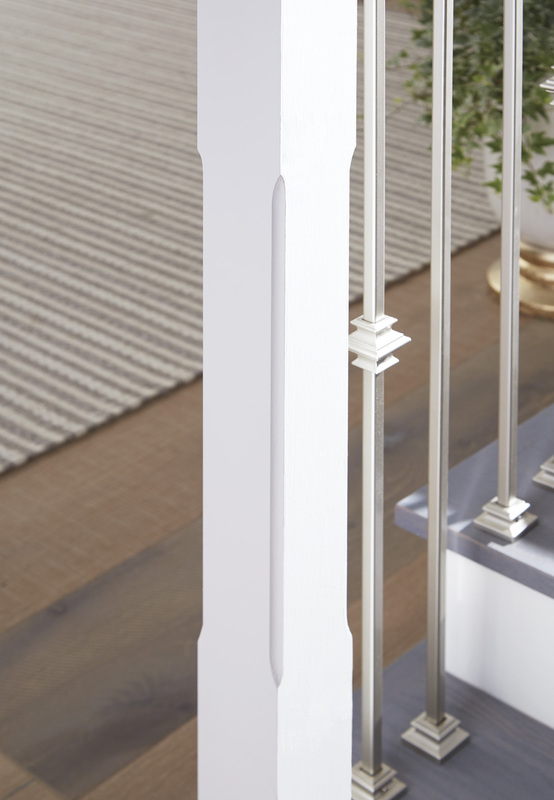 Surface mount aluminum post and 600 Series railing. 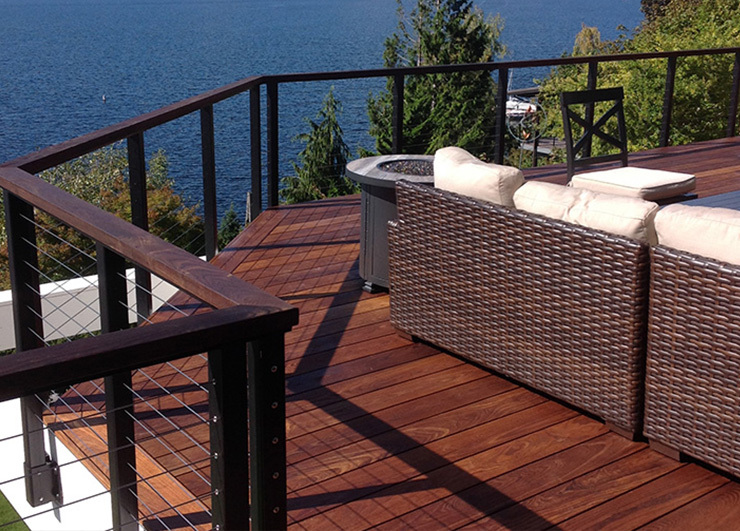 Anodized surface mount aluminum post and 200 Series railing. 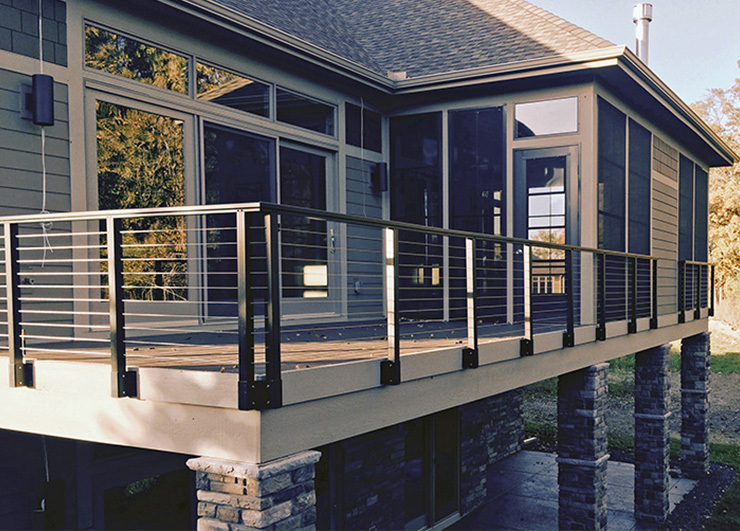 Fascia mount aluminum post and 200 Series railing. 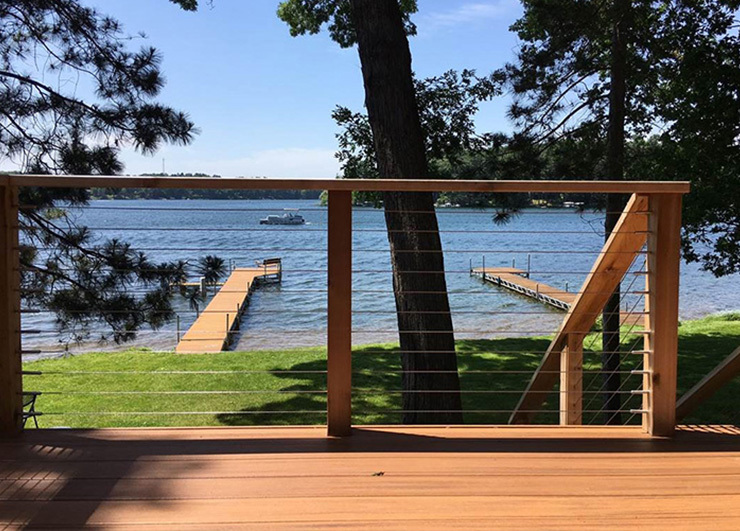 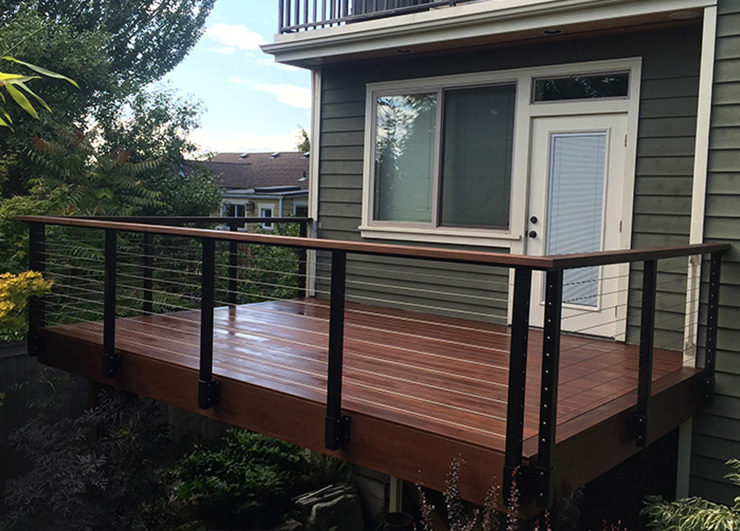 Add you own wood rail with to the 400 series aluminum railing. 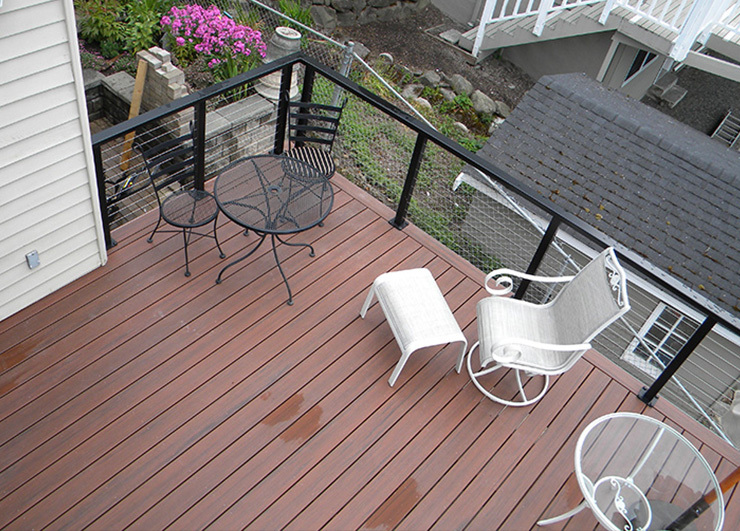 Black surface mount aluminum post and 200 Series railing.